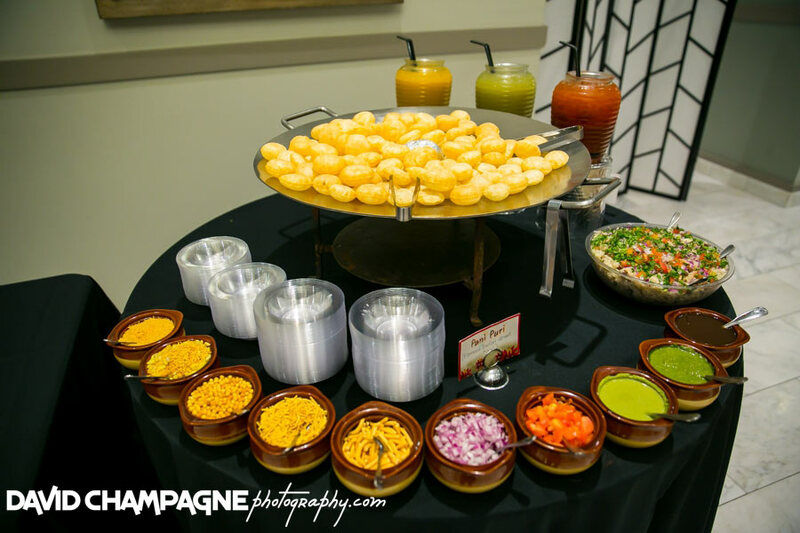 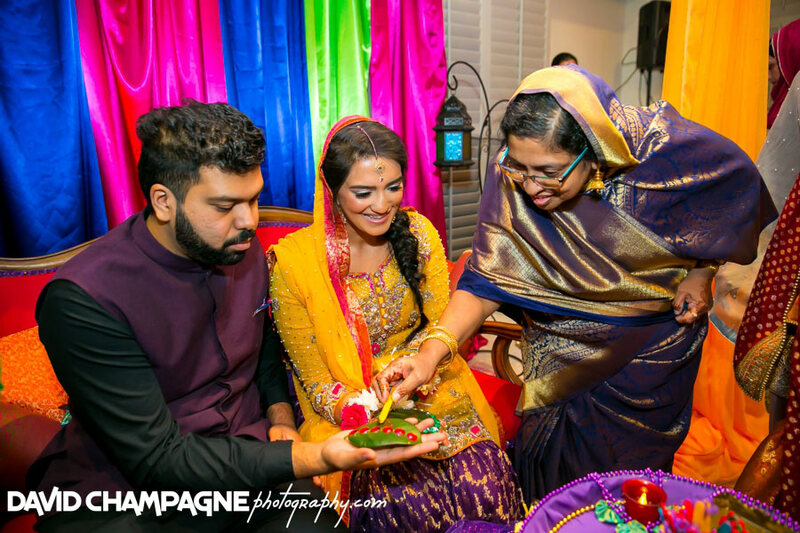 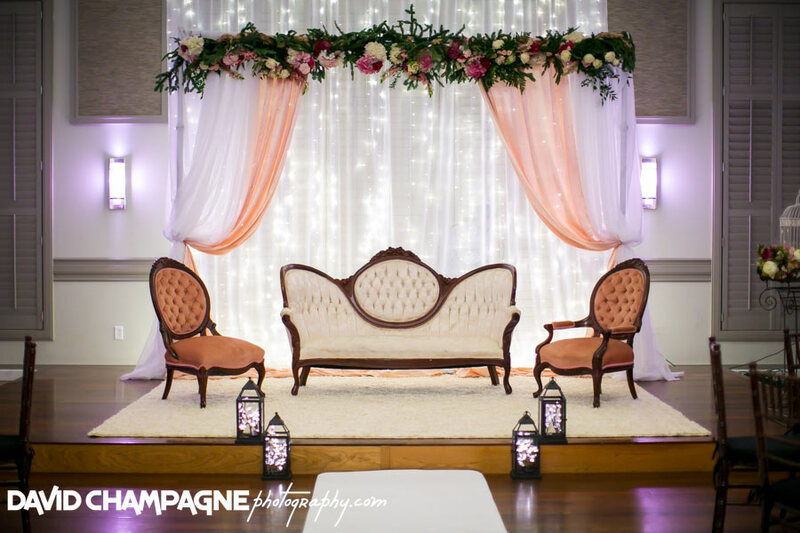 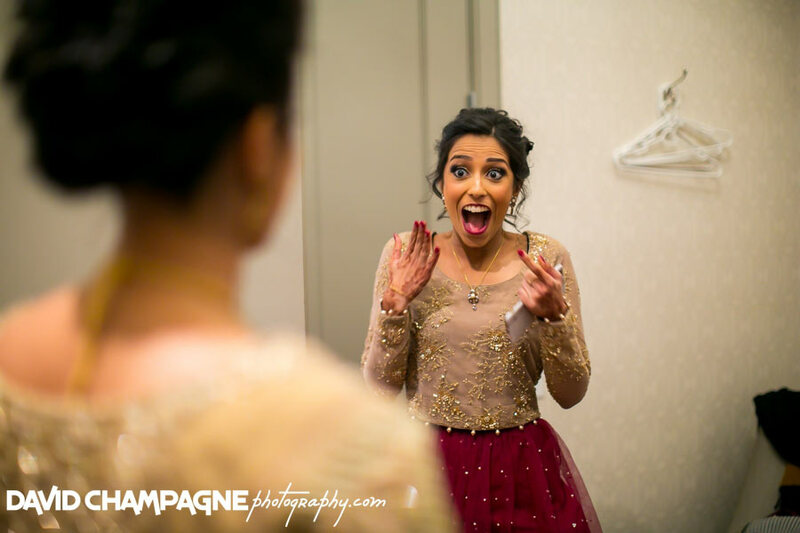 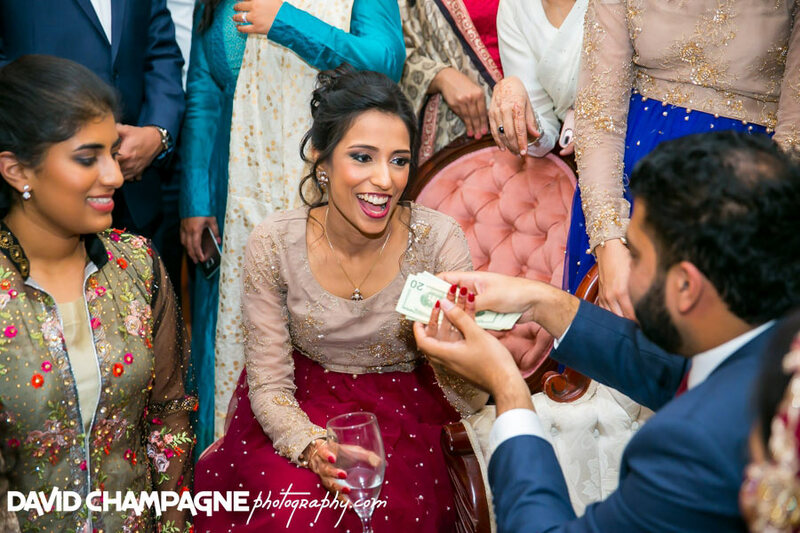 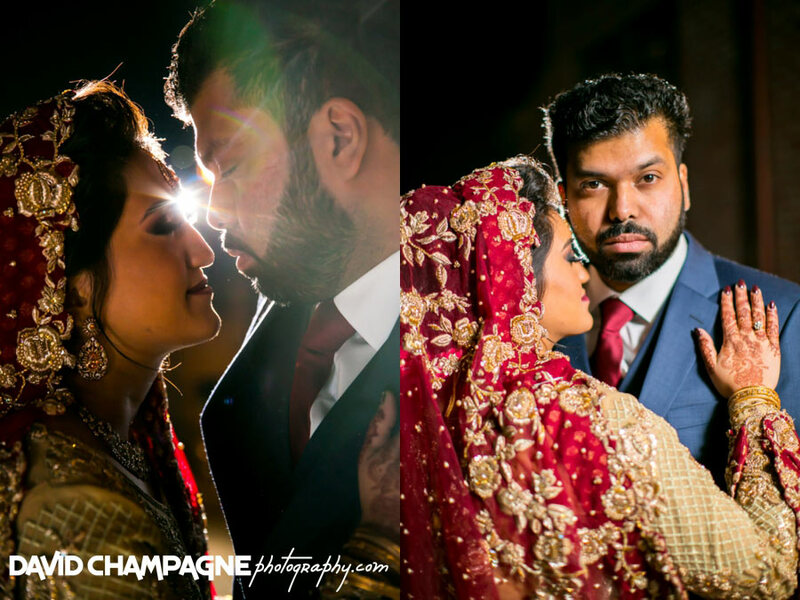 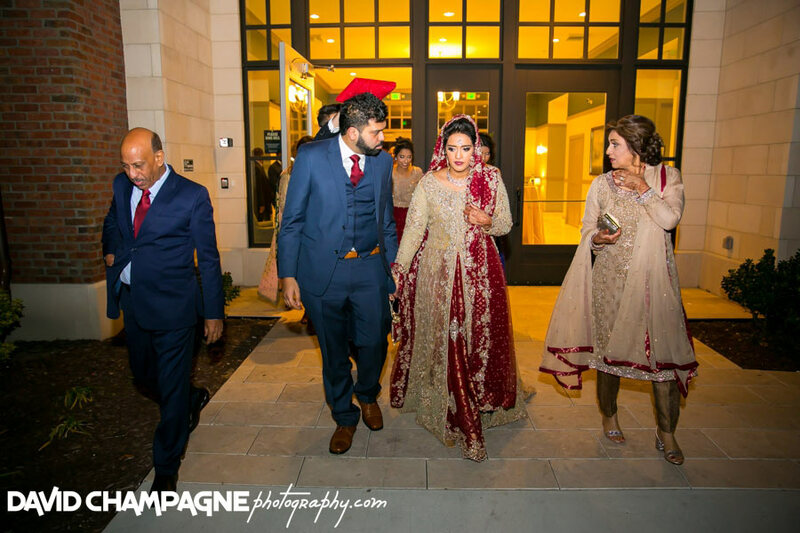 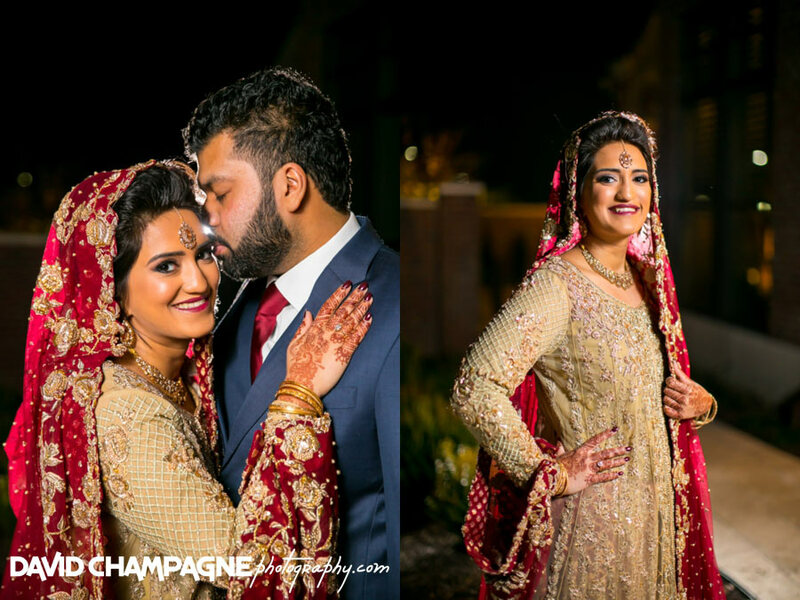 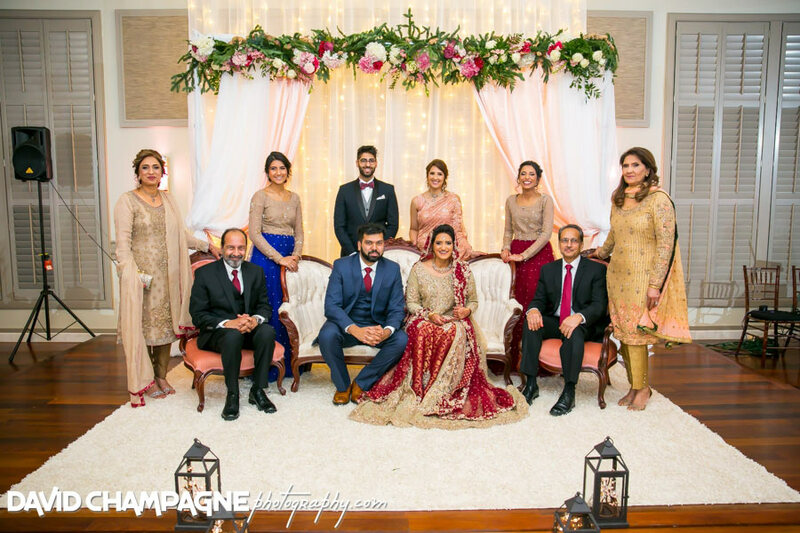 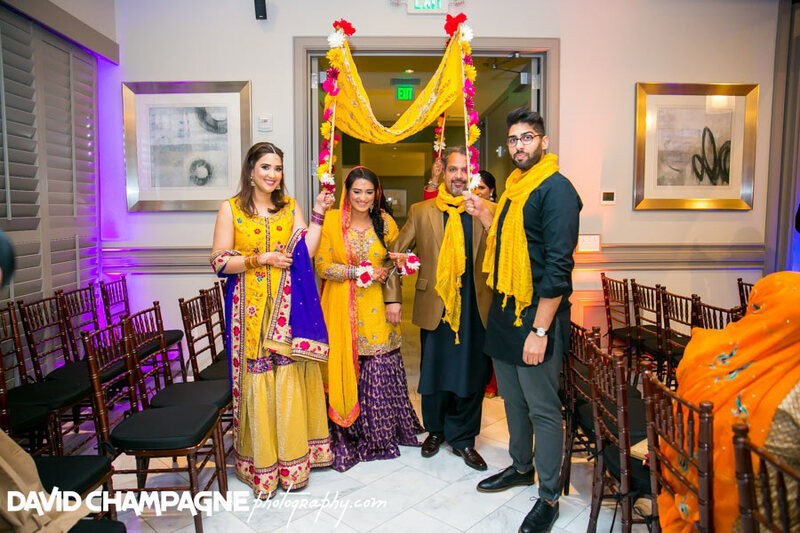 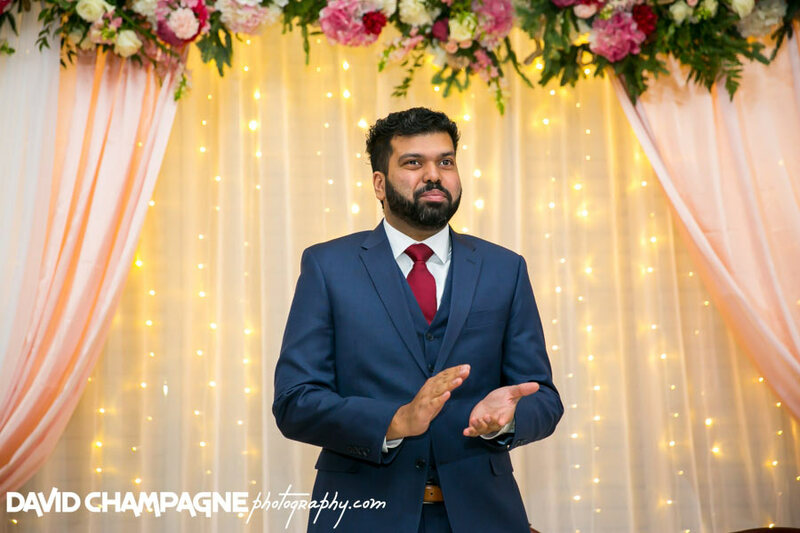 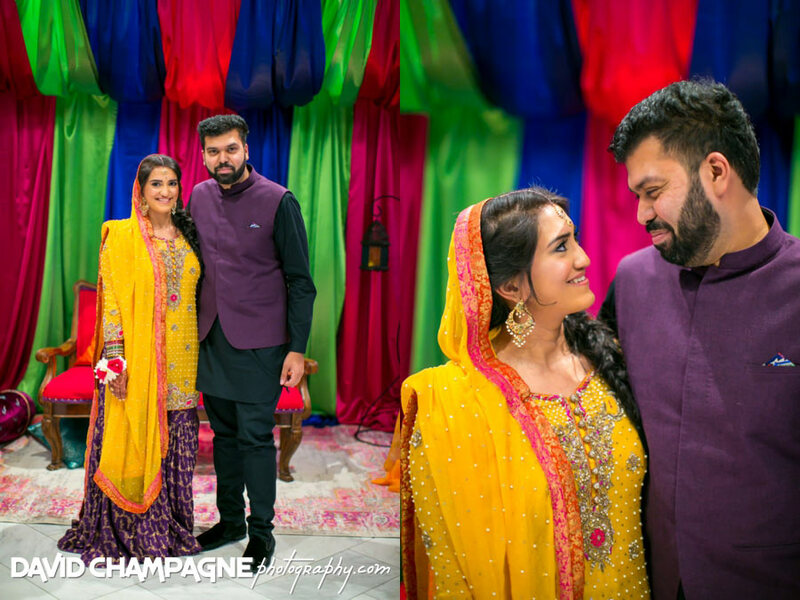 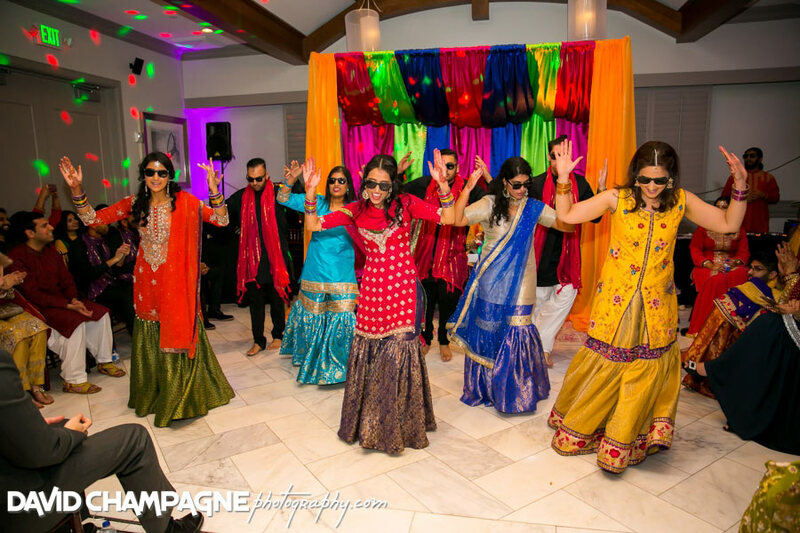 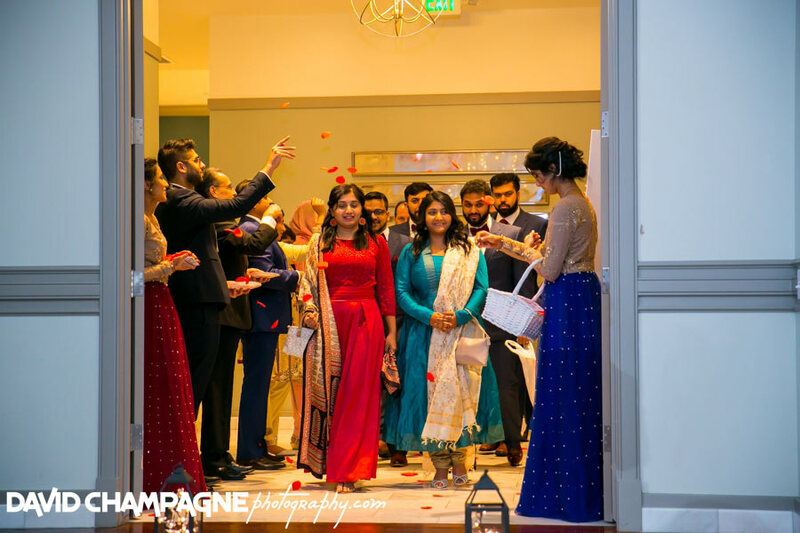 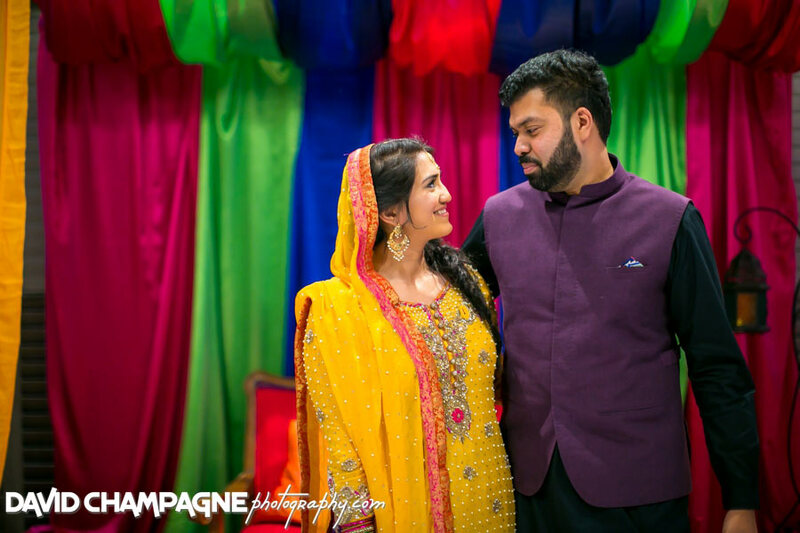 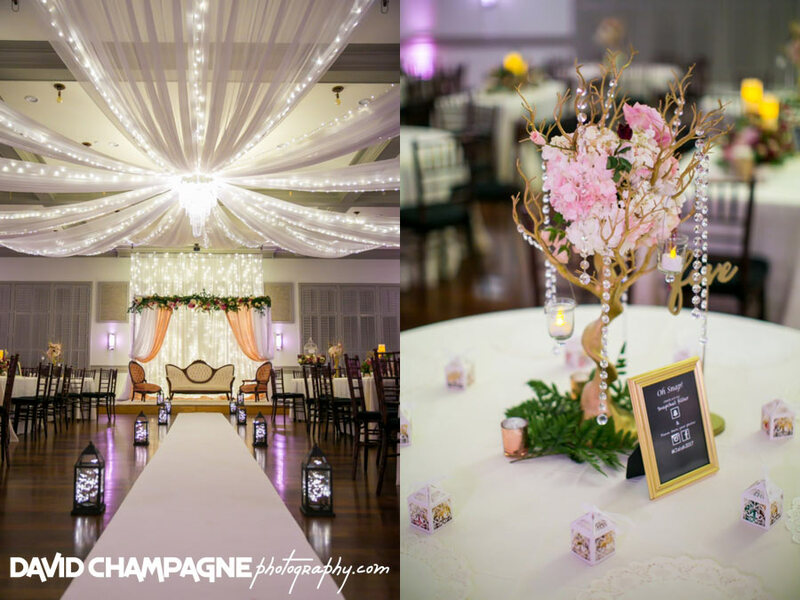 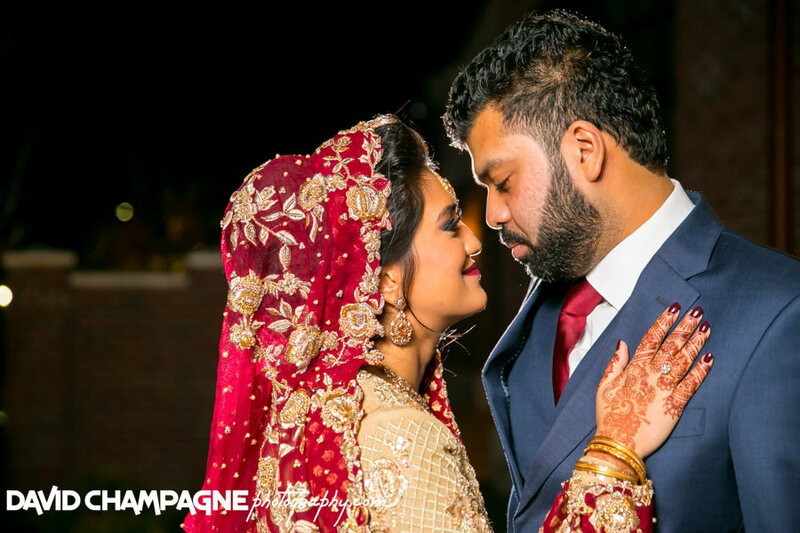 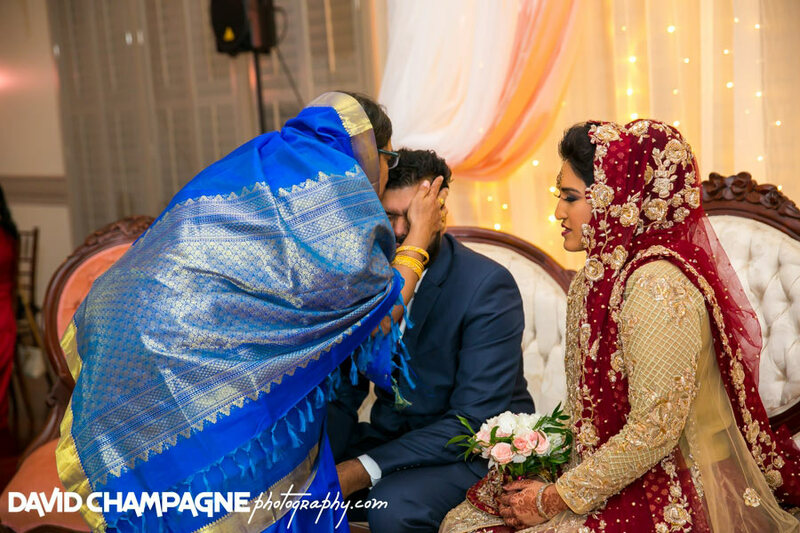 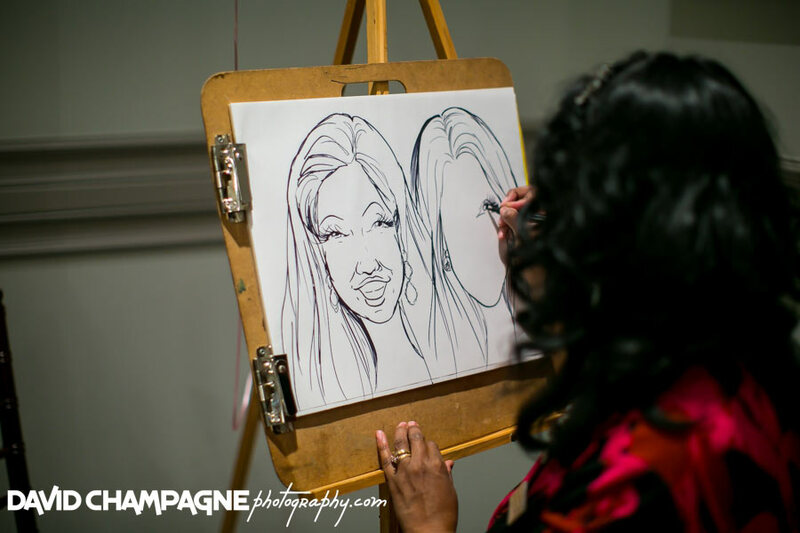 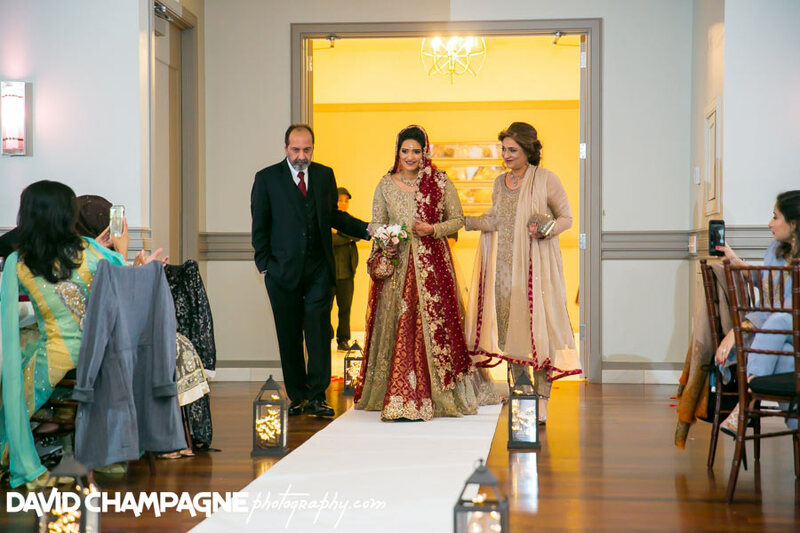 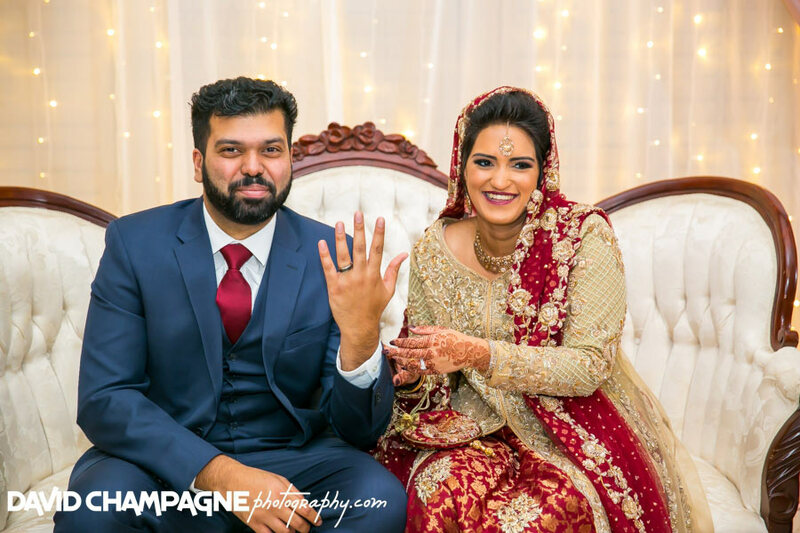 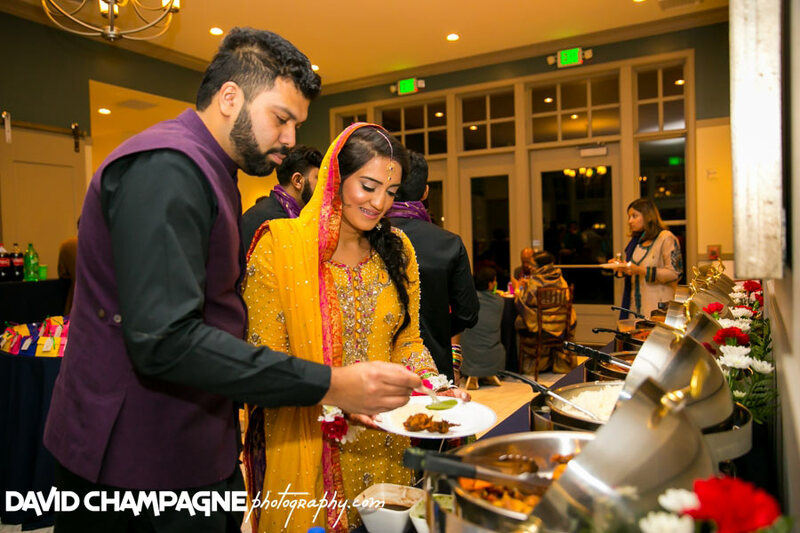 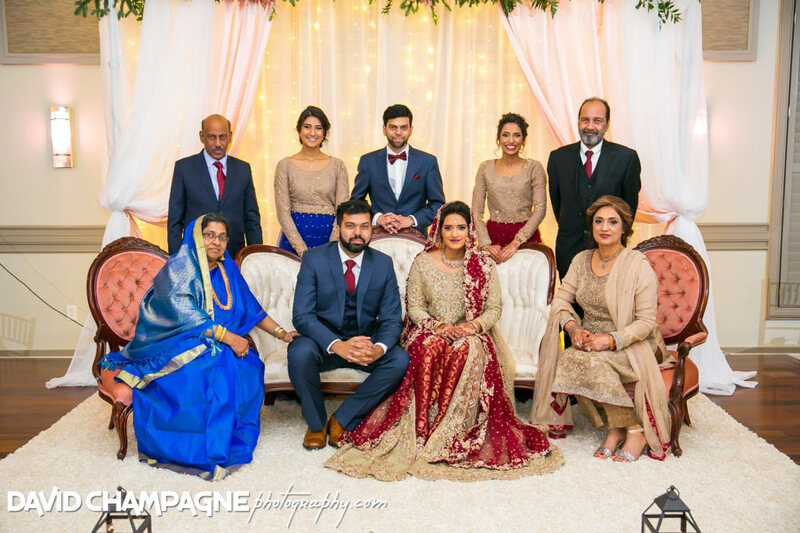 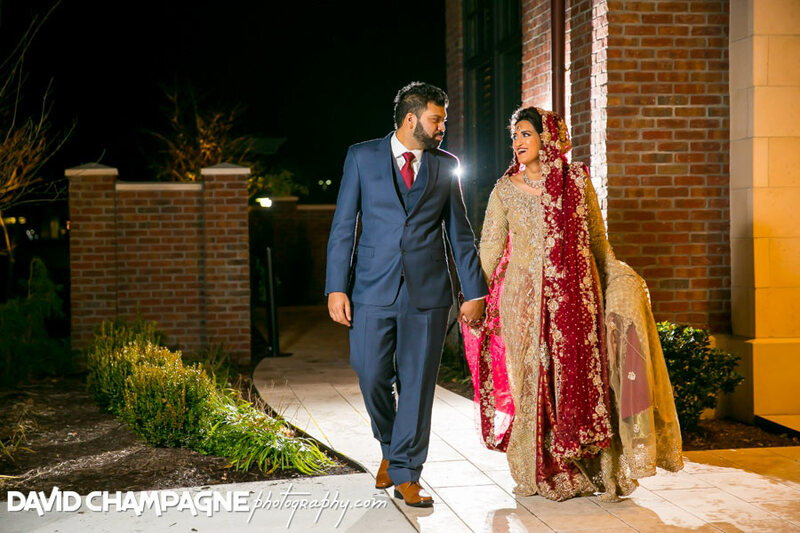 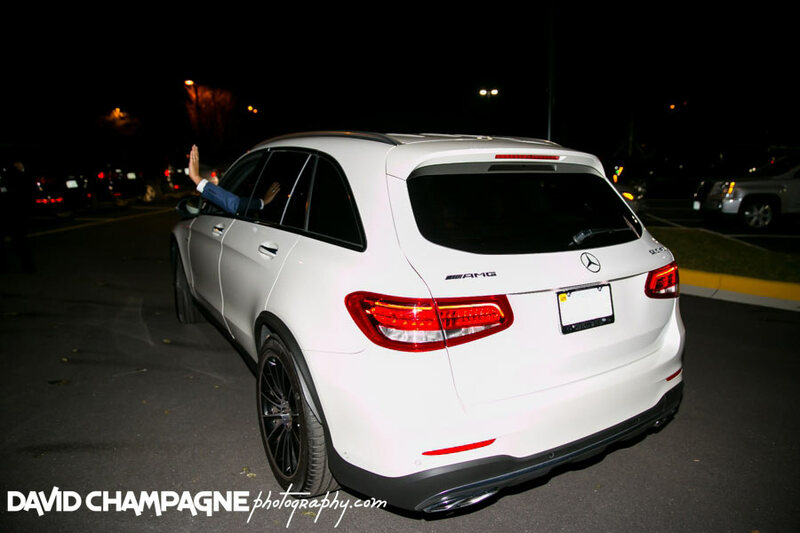 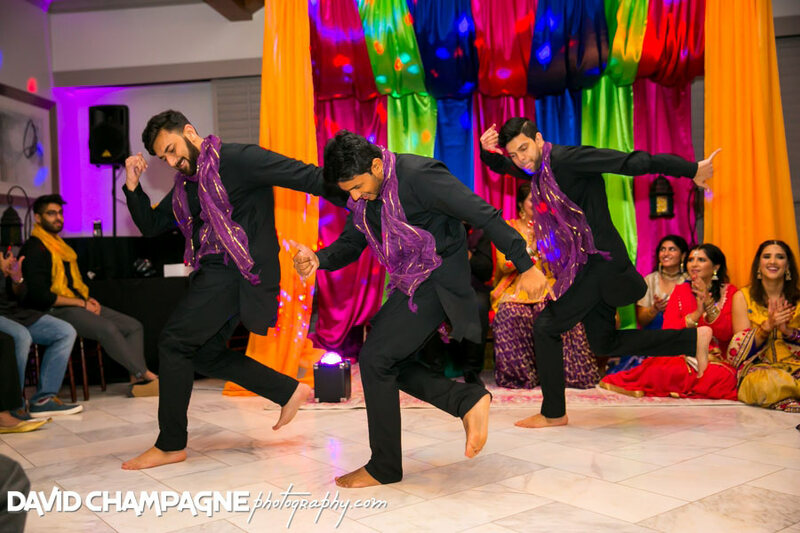 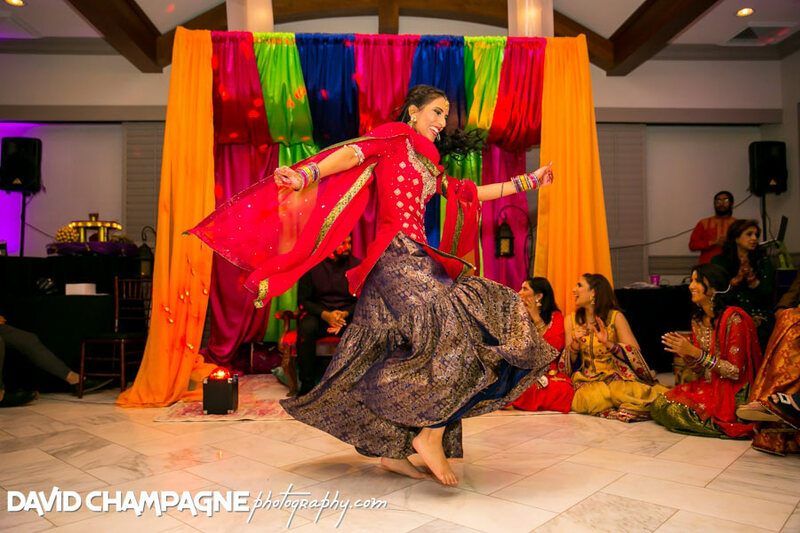 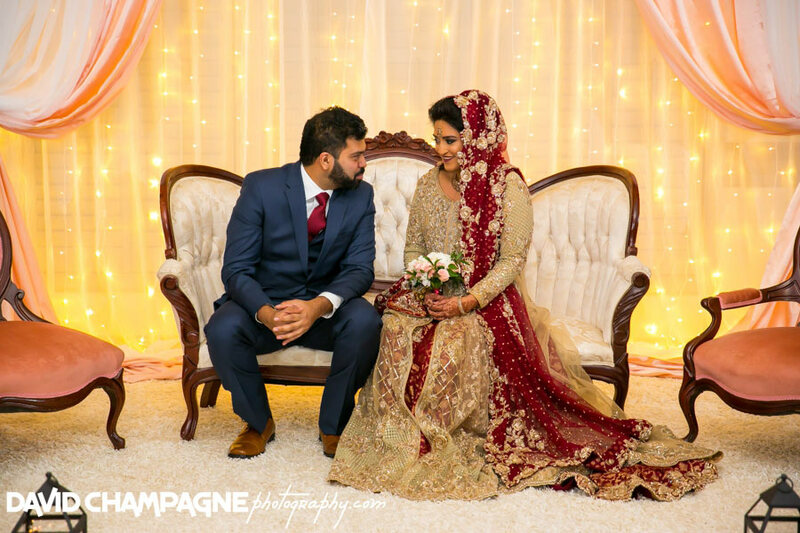 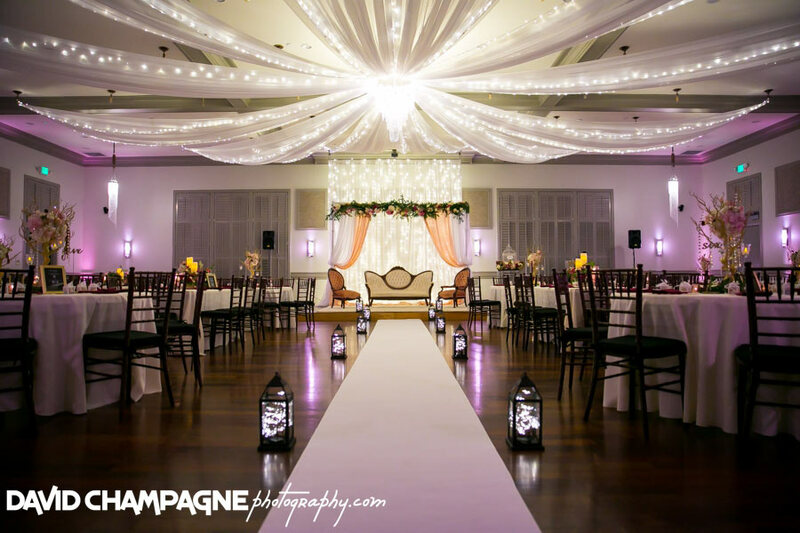 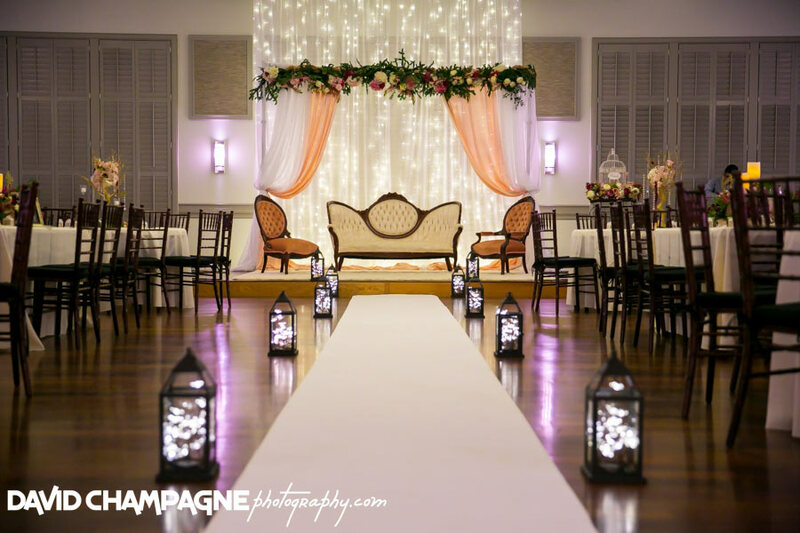 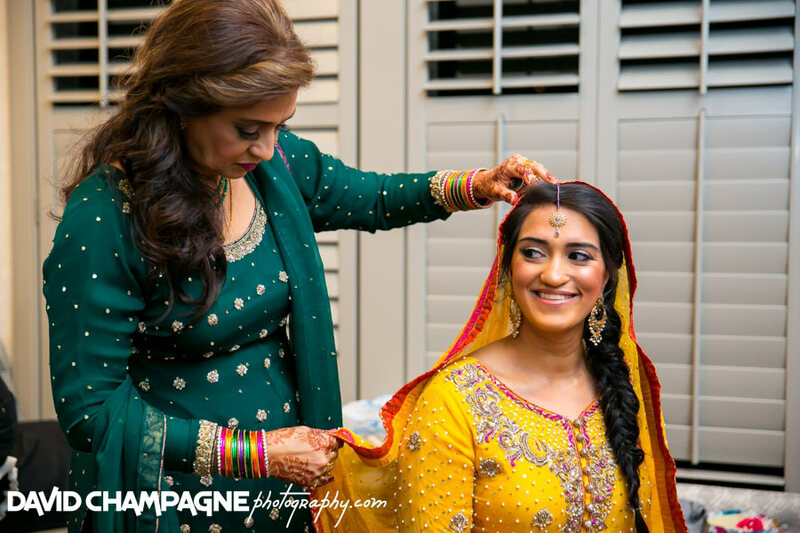 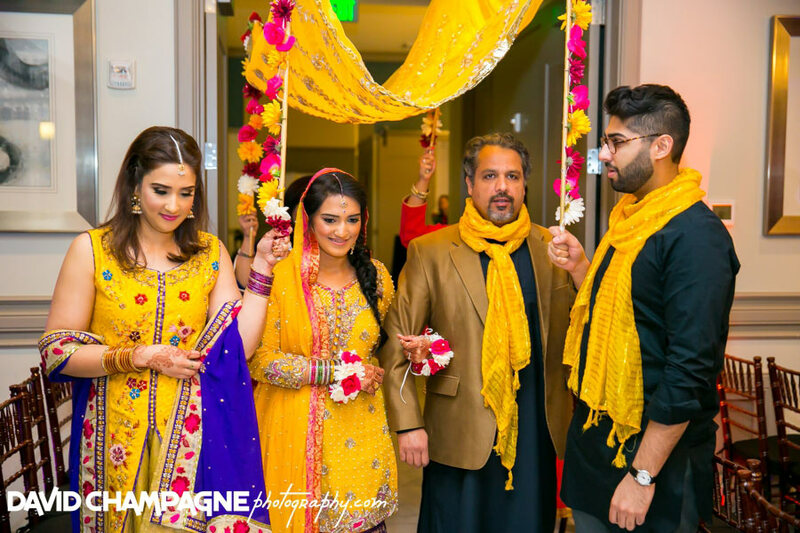 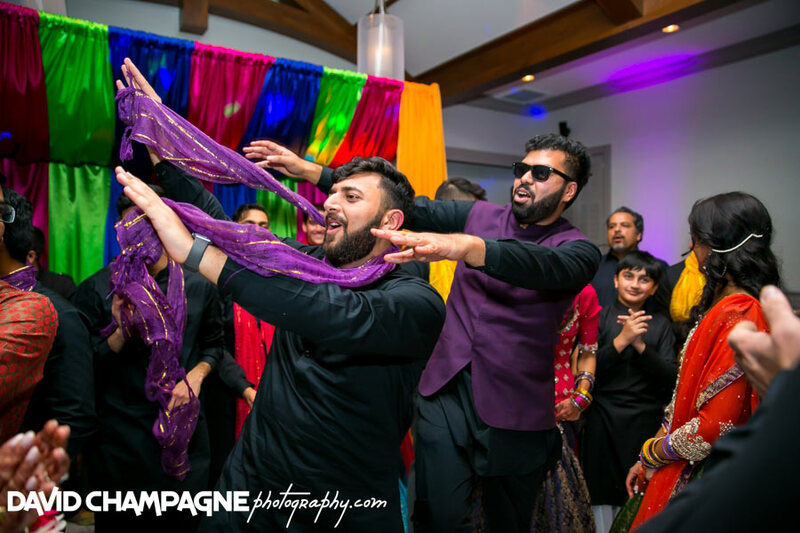 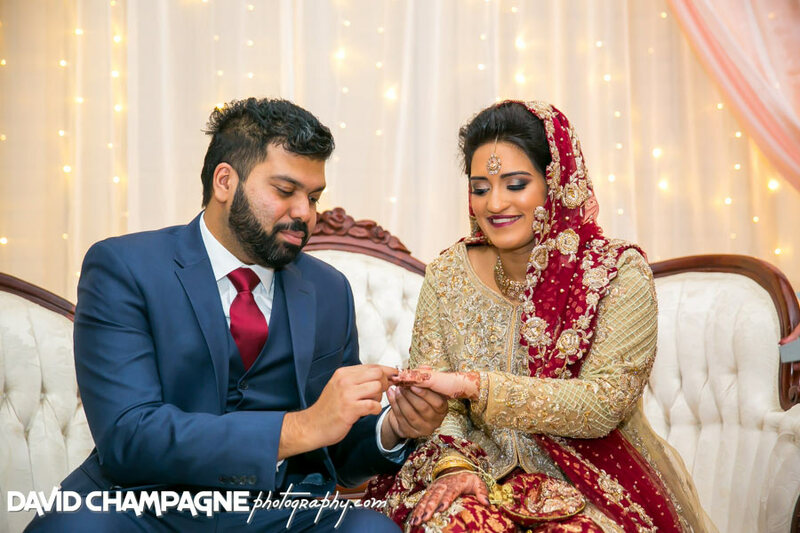 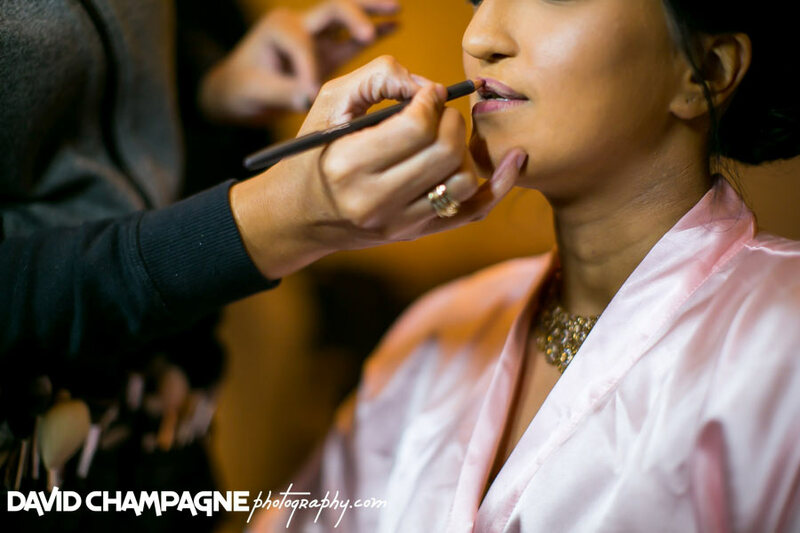 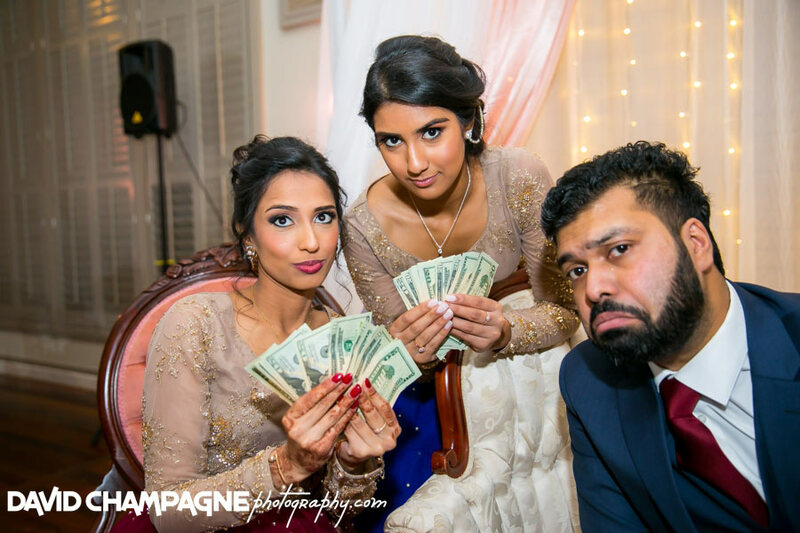 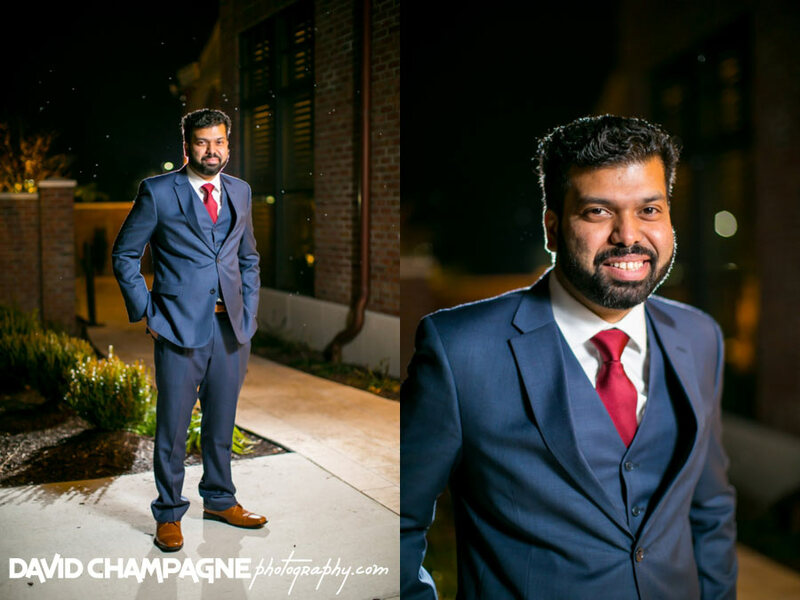 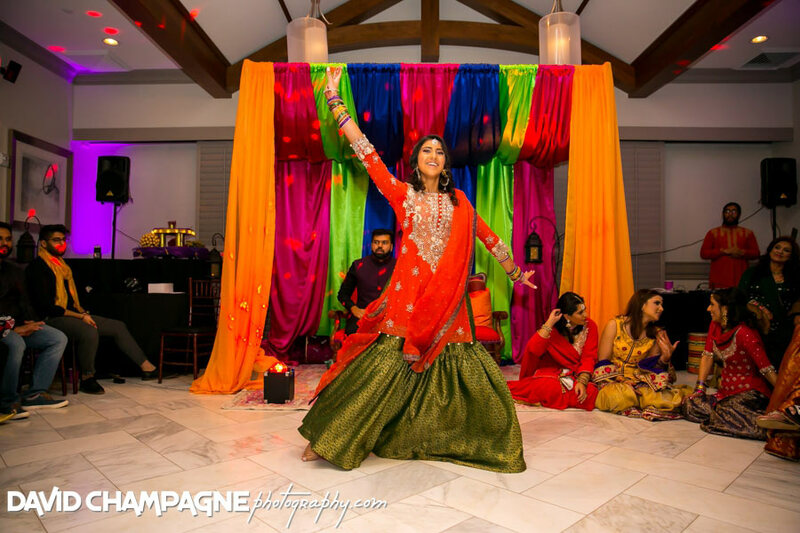 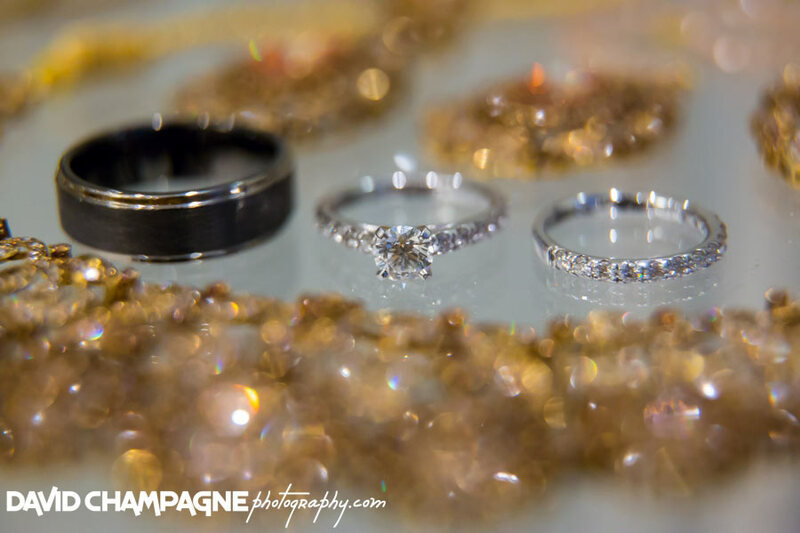 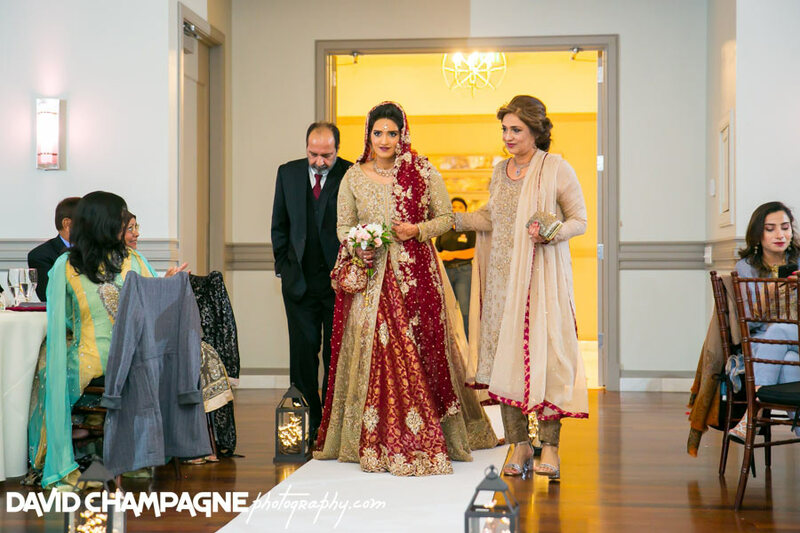 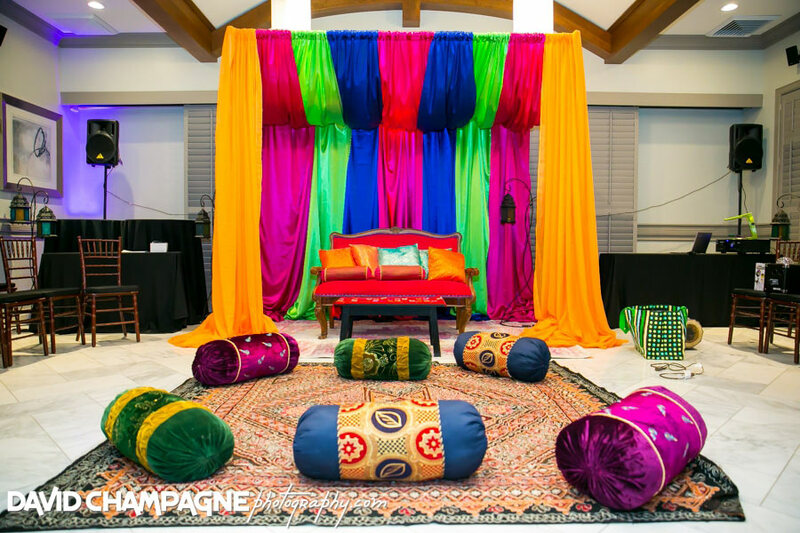 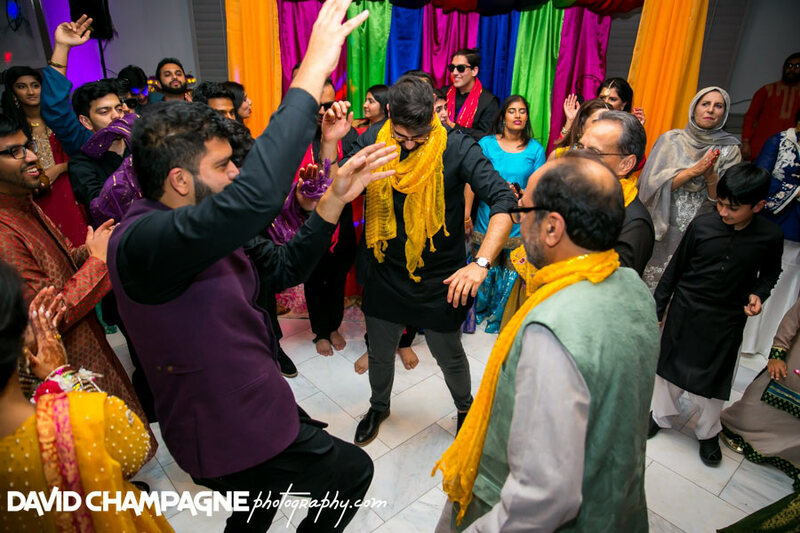 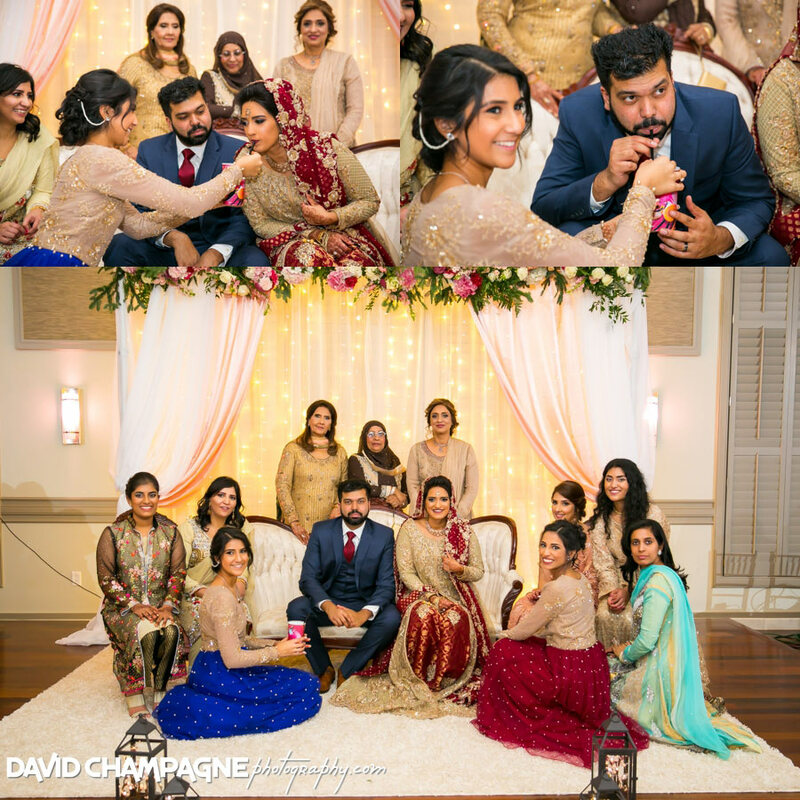 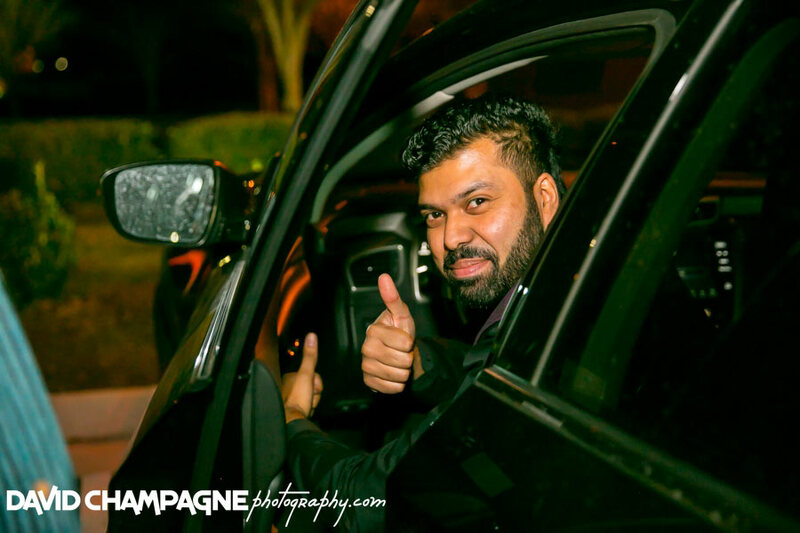 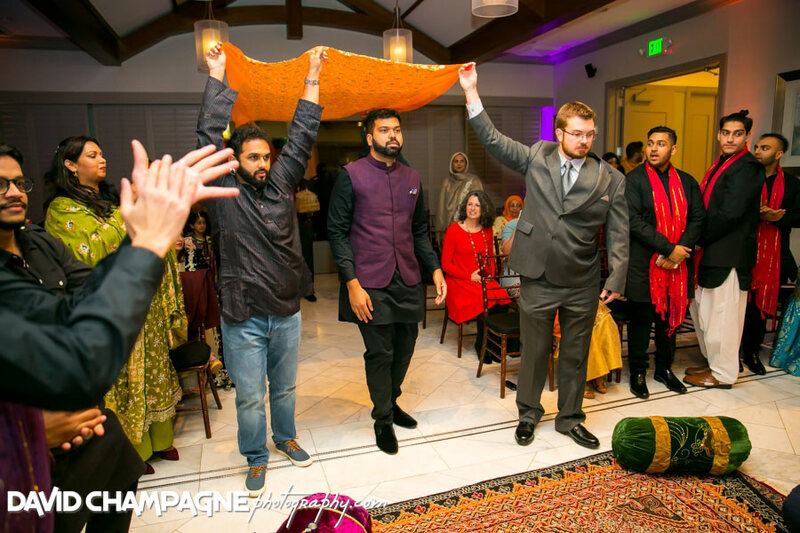 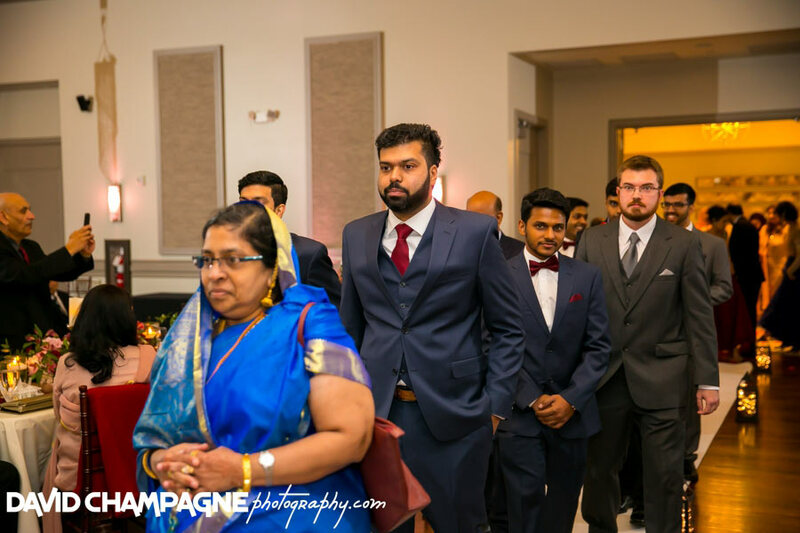 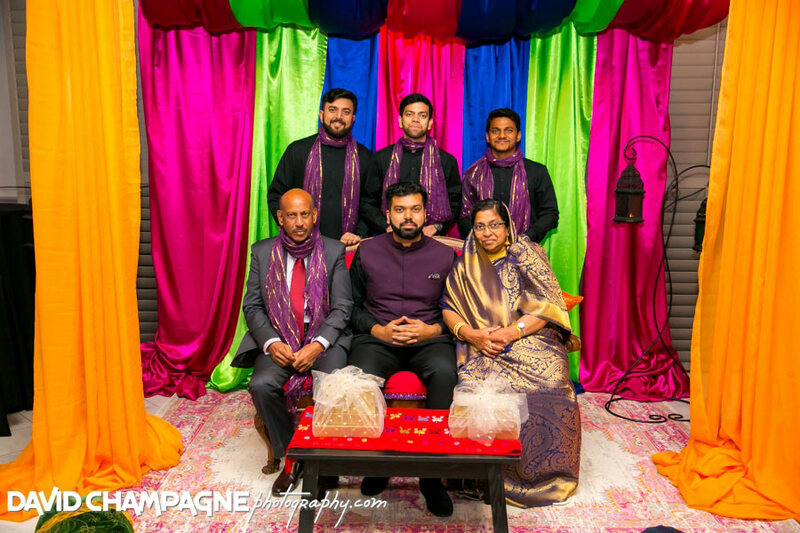 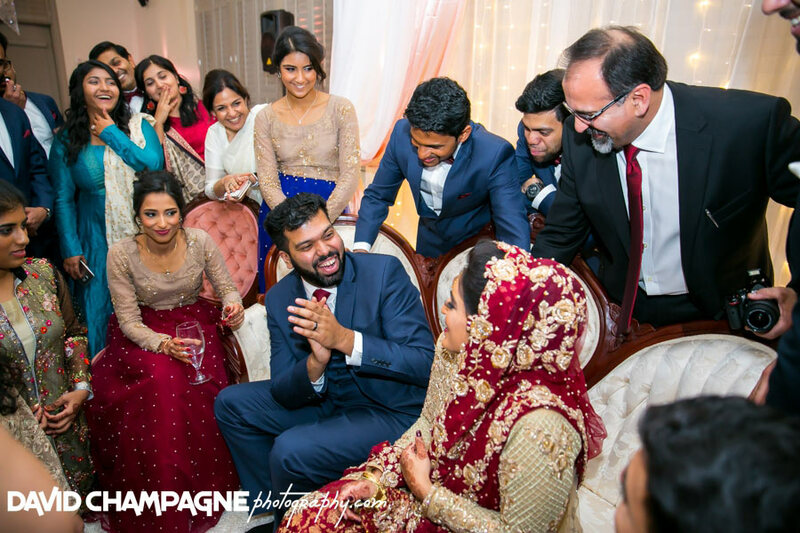 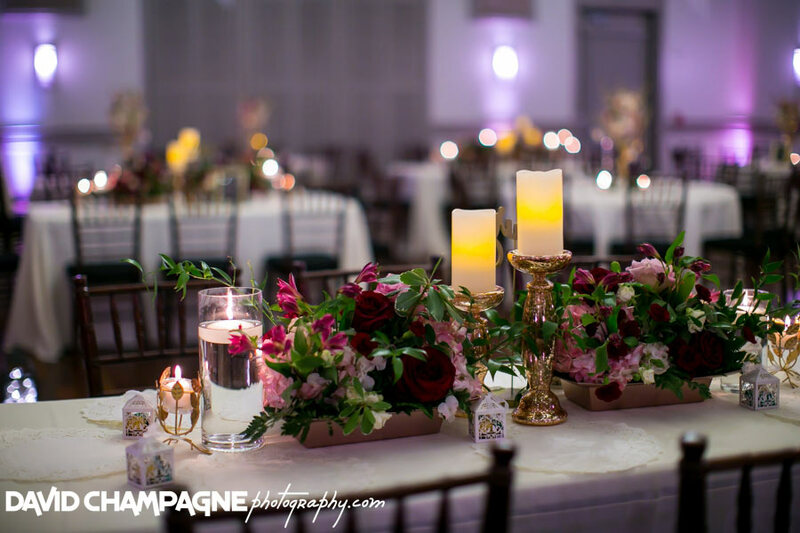 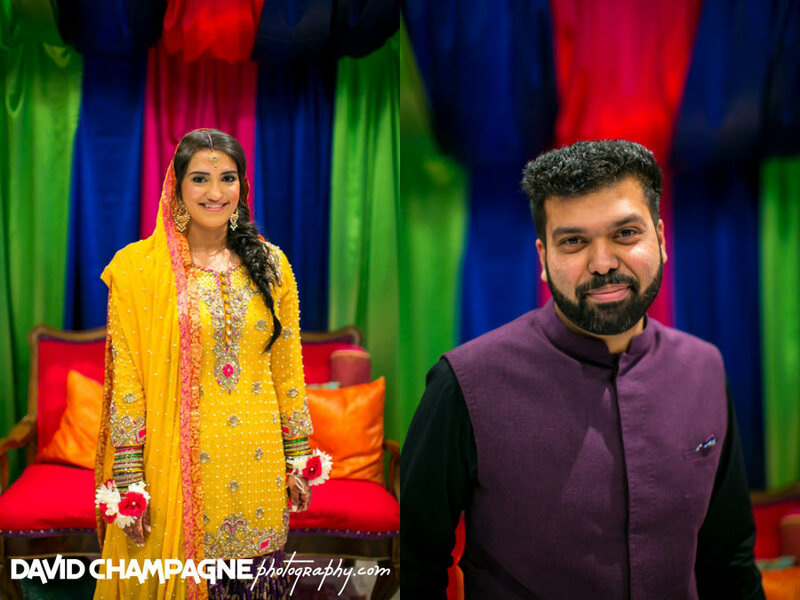 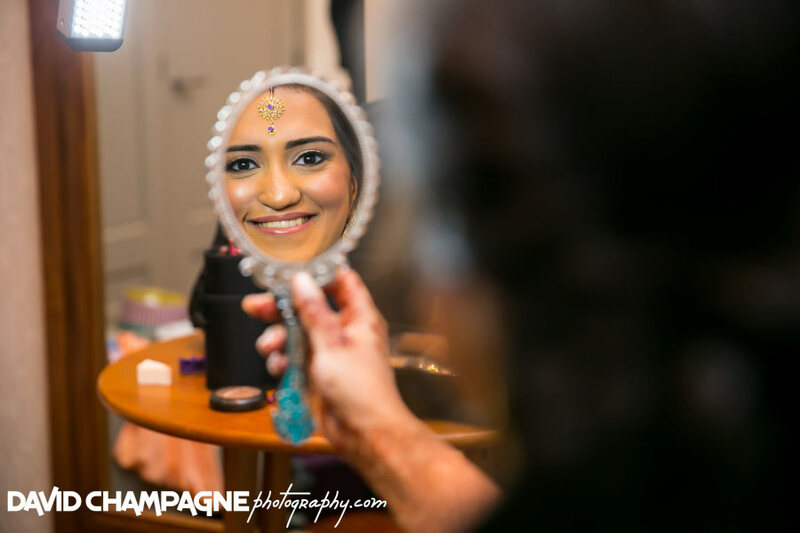 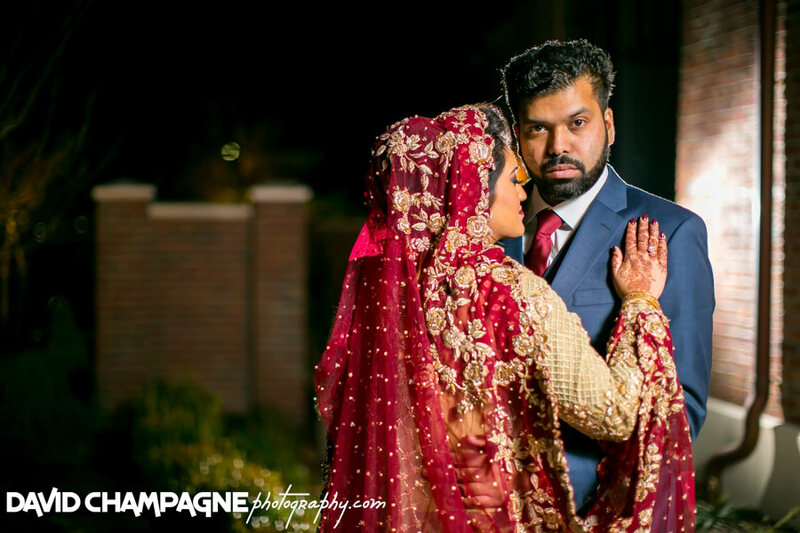 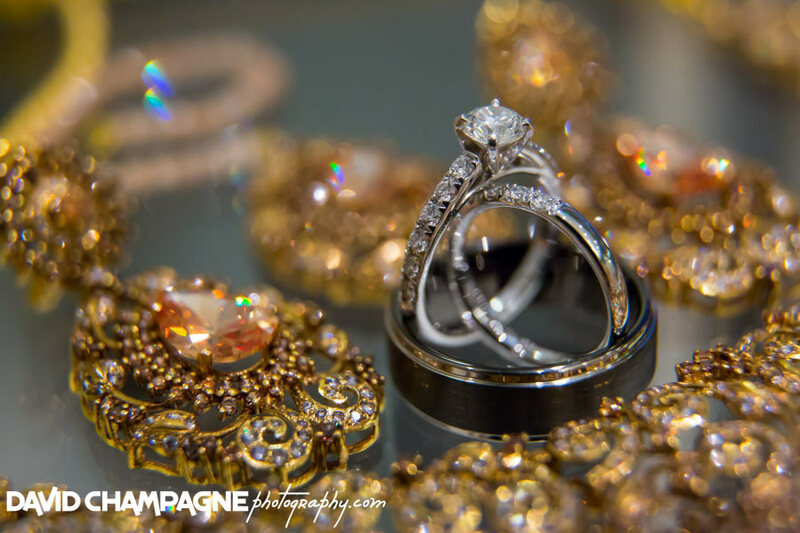 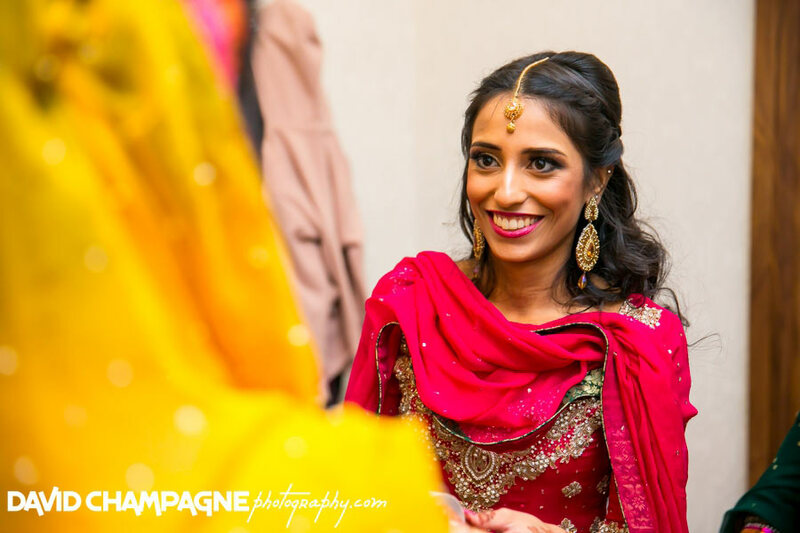 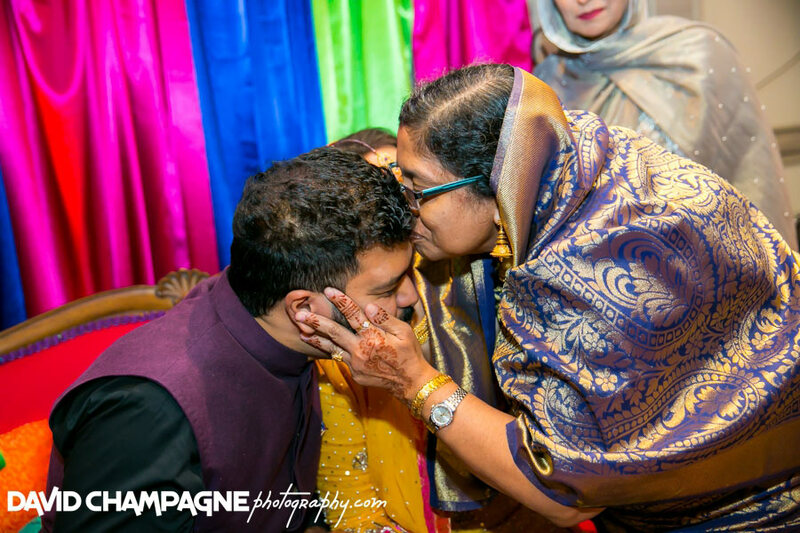 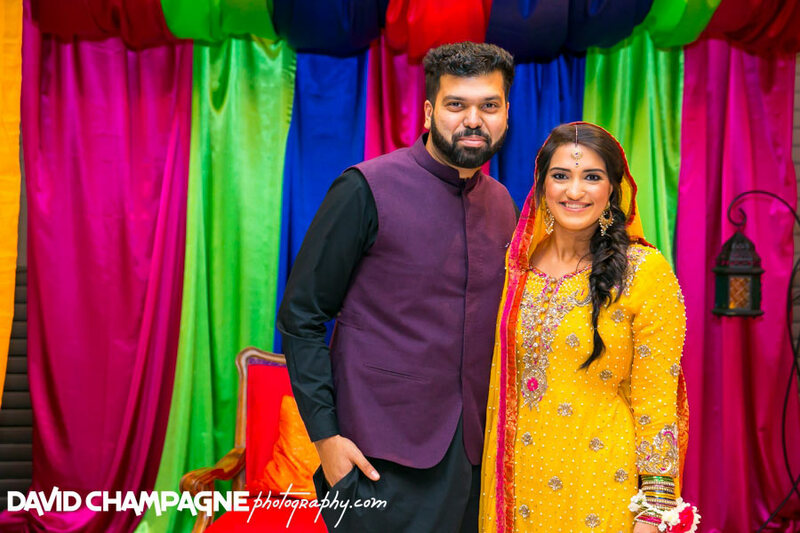 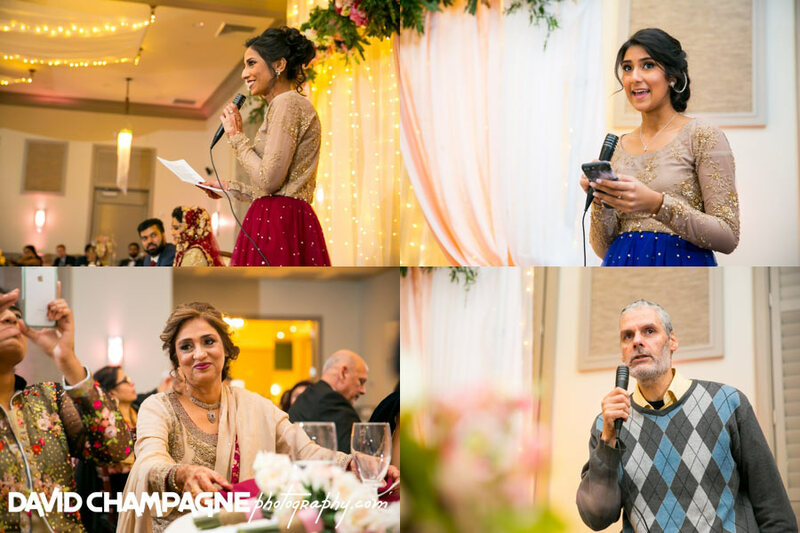 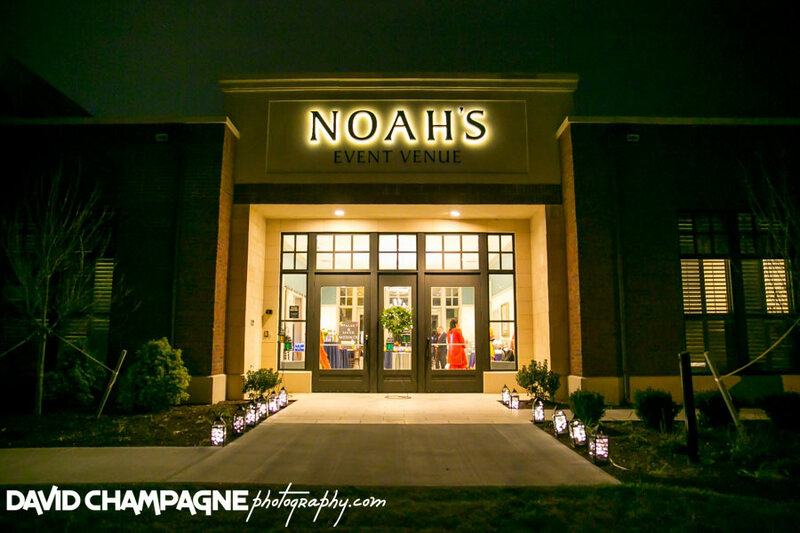 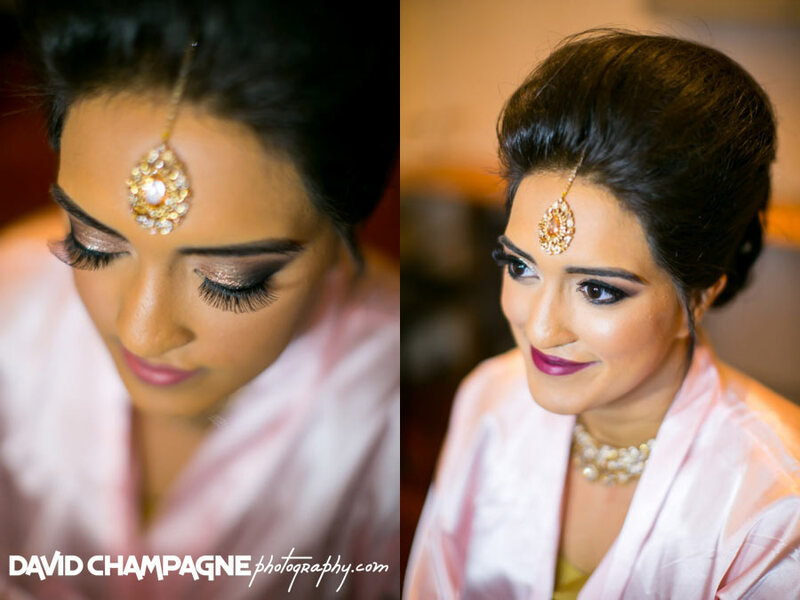 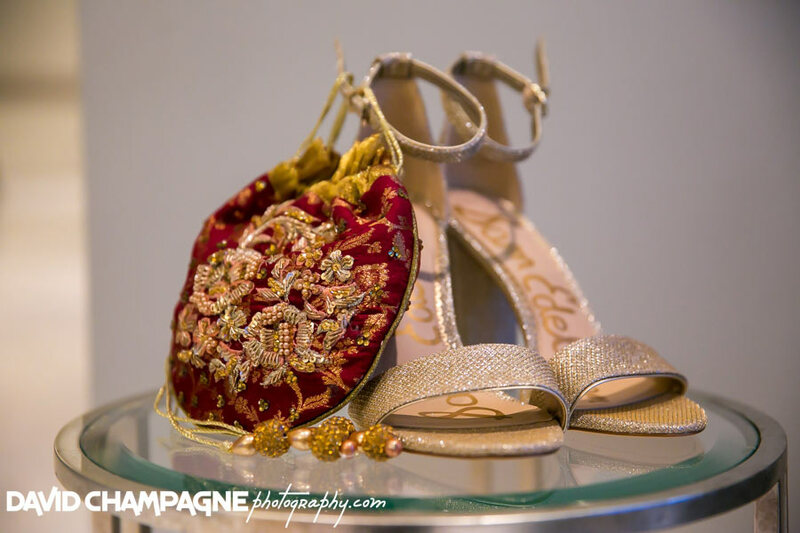 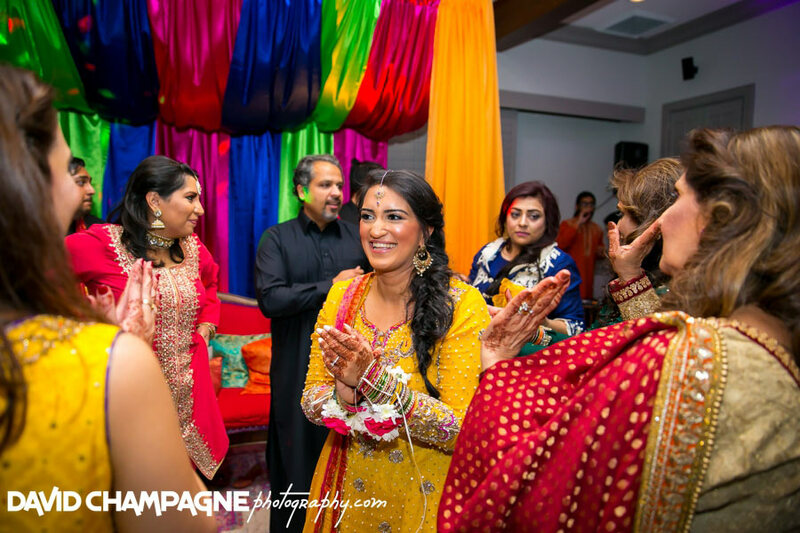 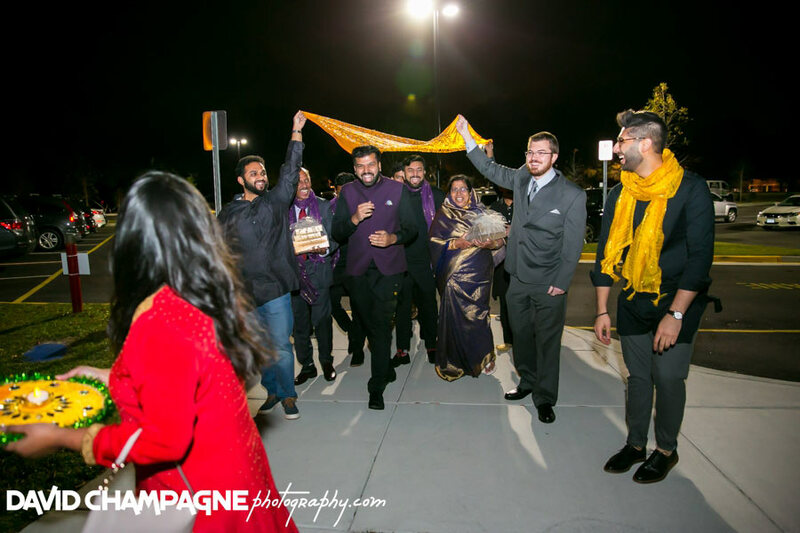 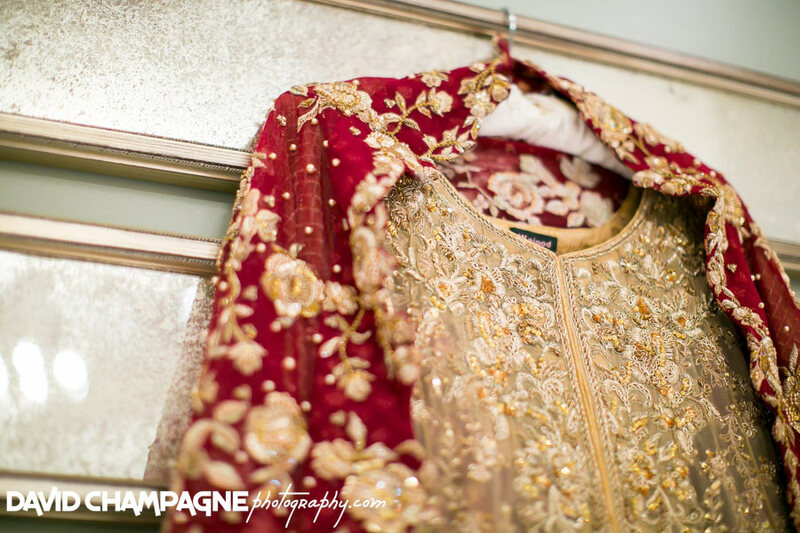 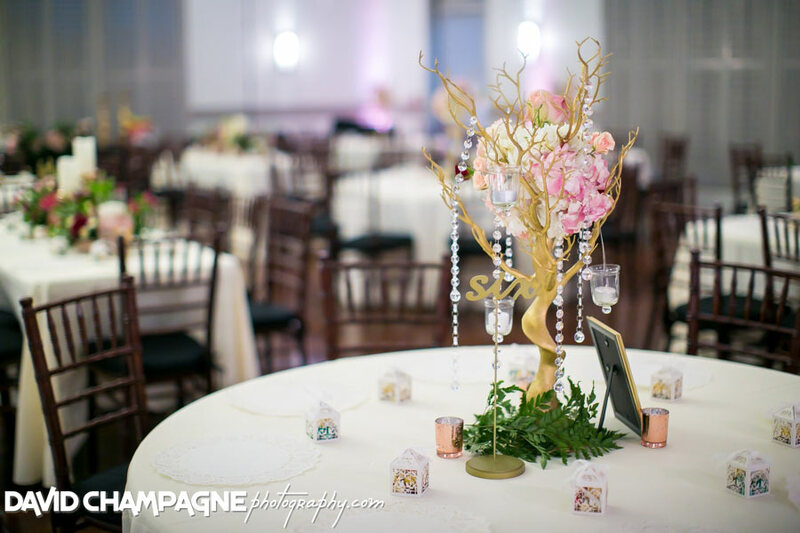 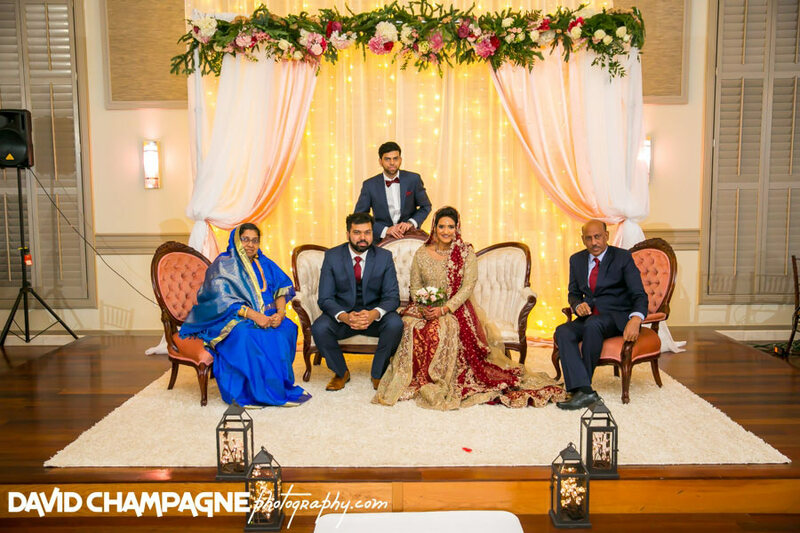 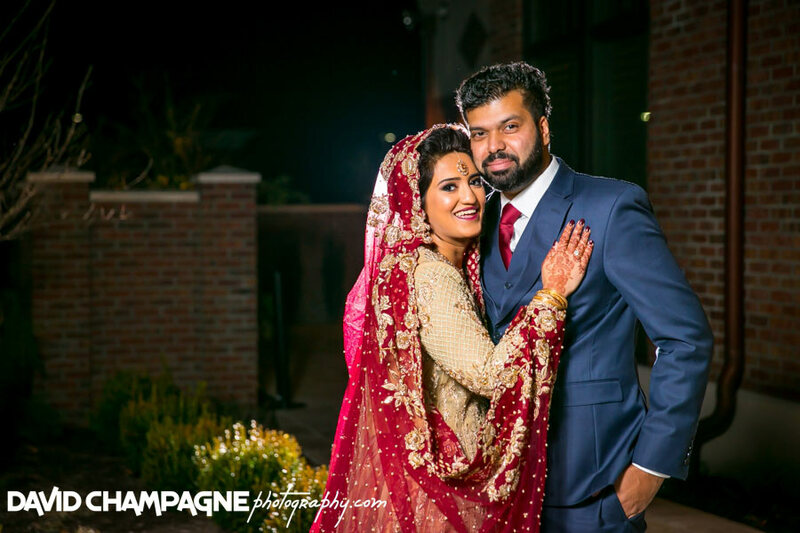 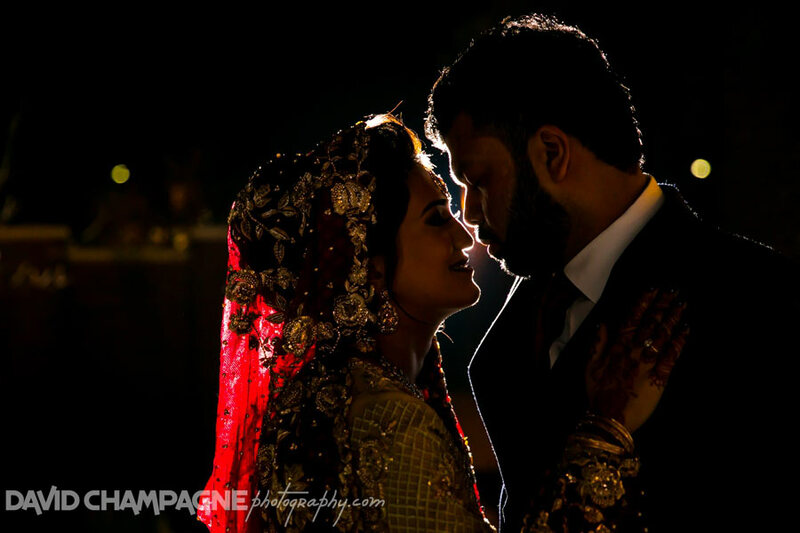 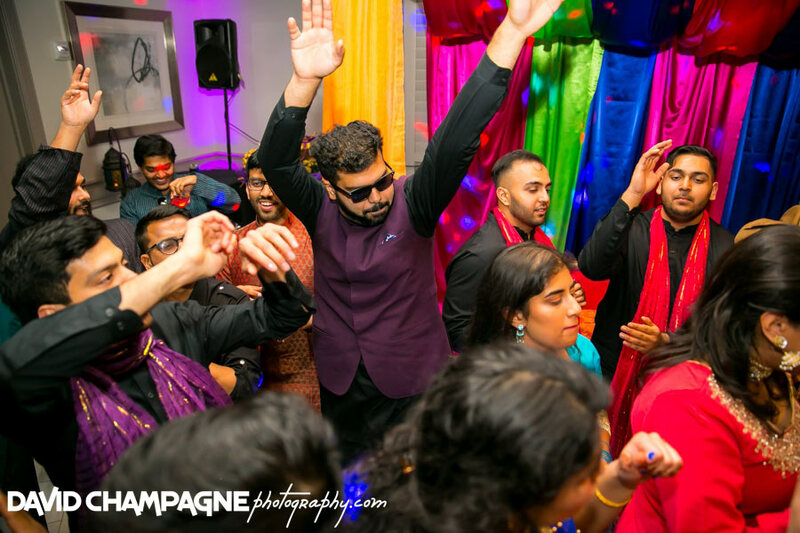 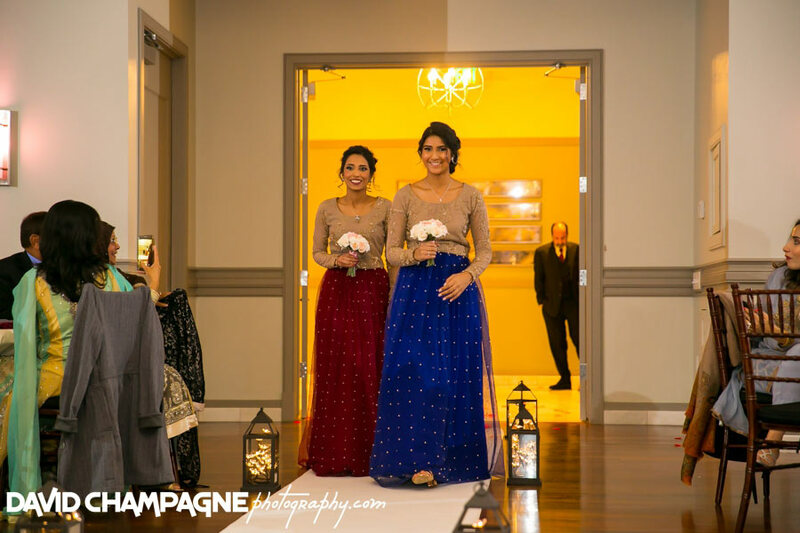 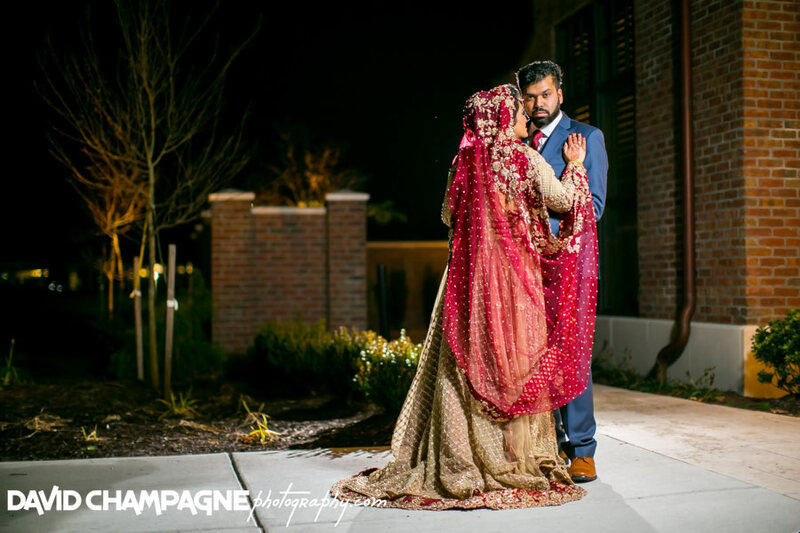 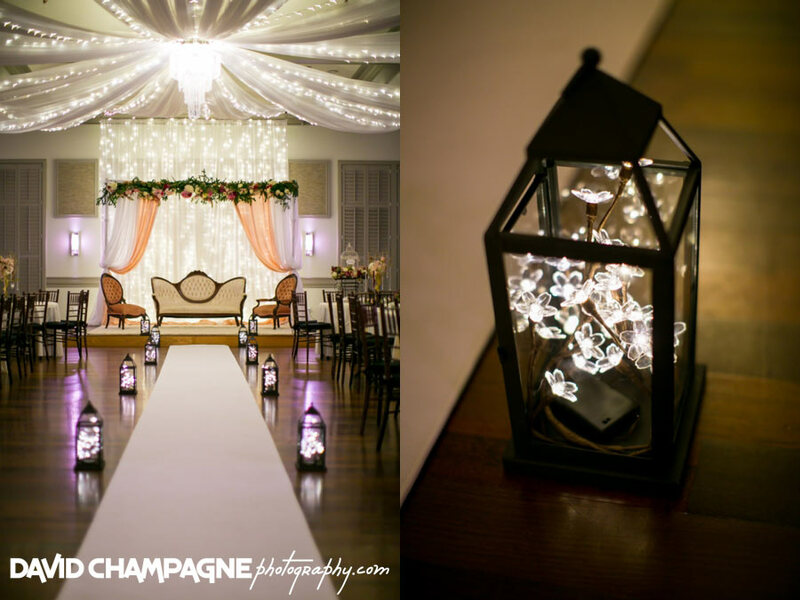 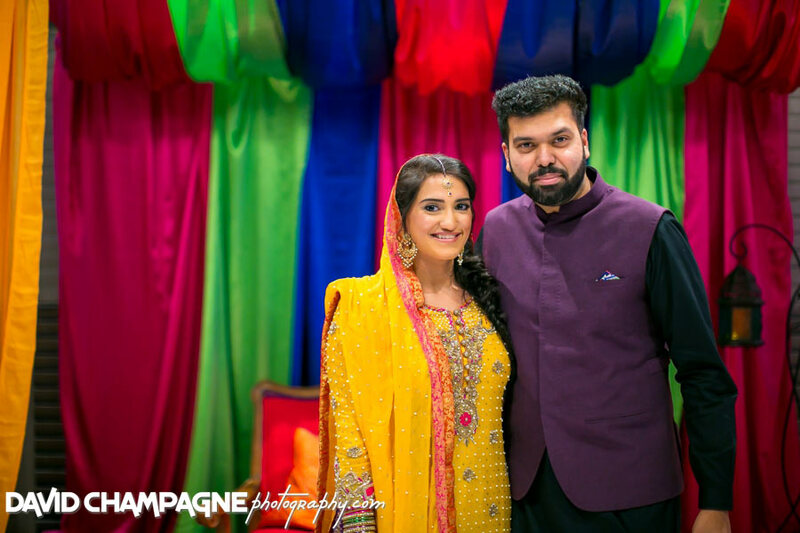 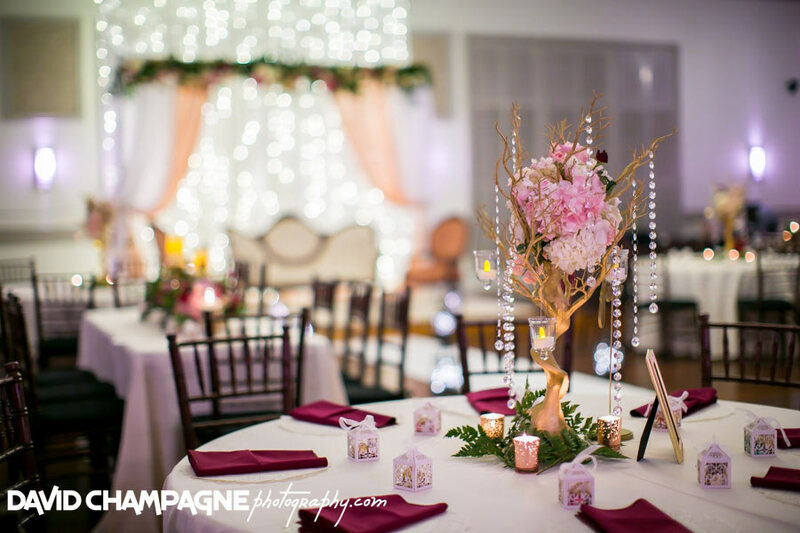 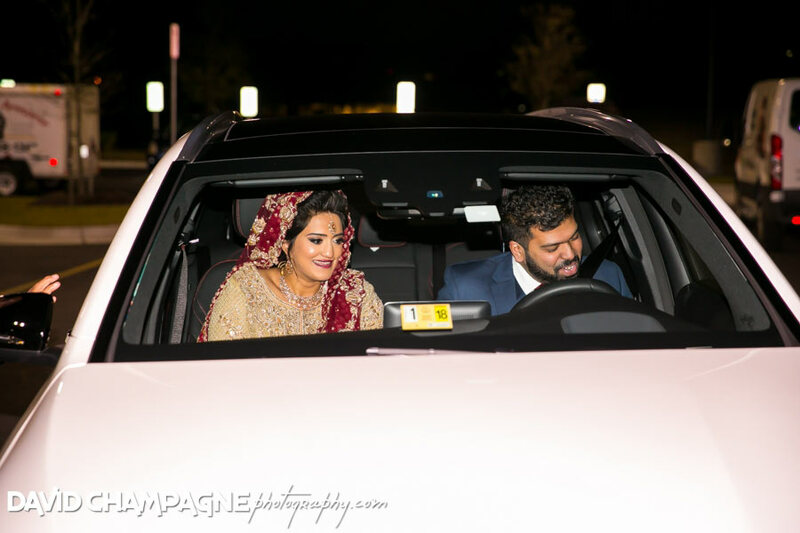 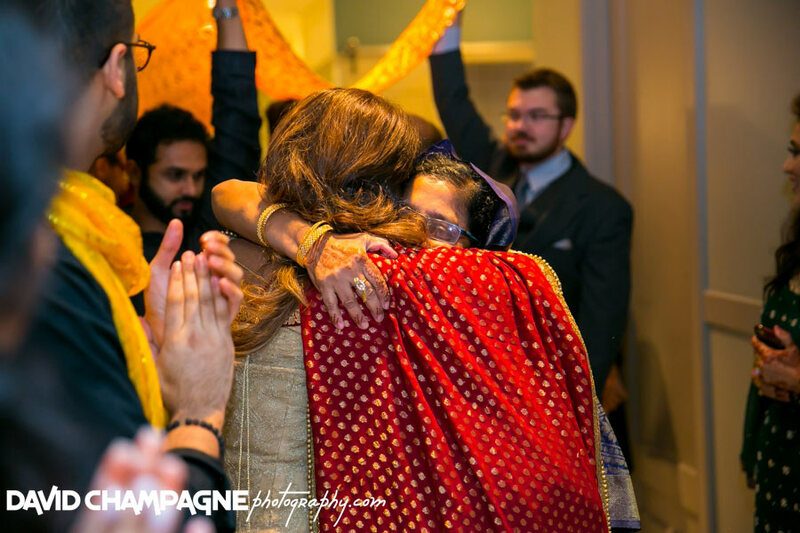 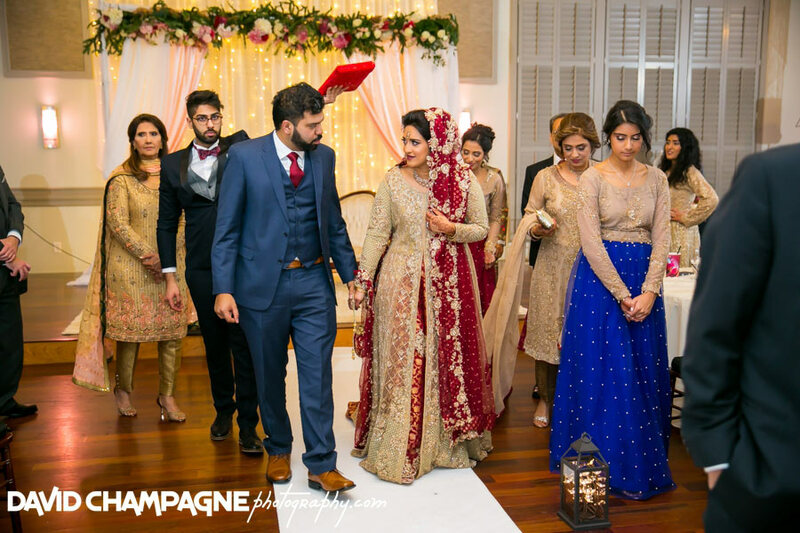 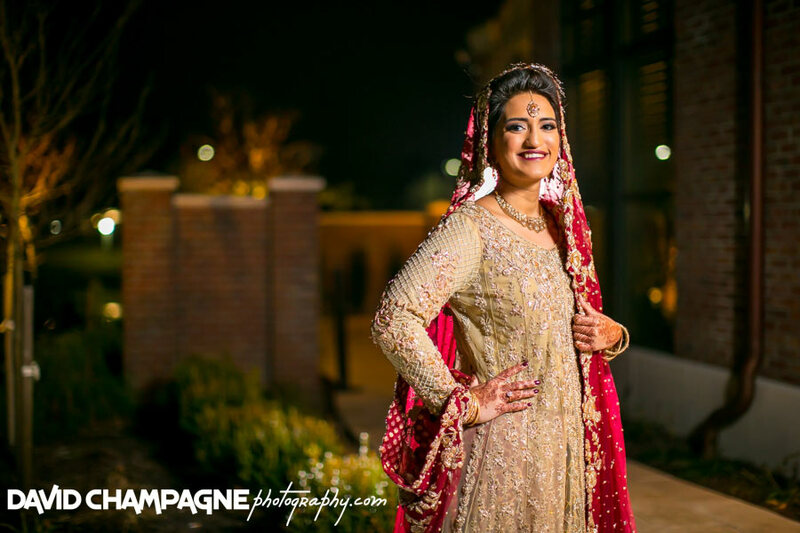 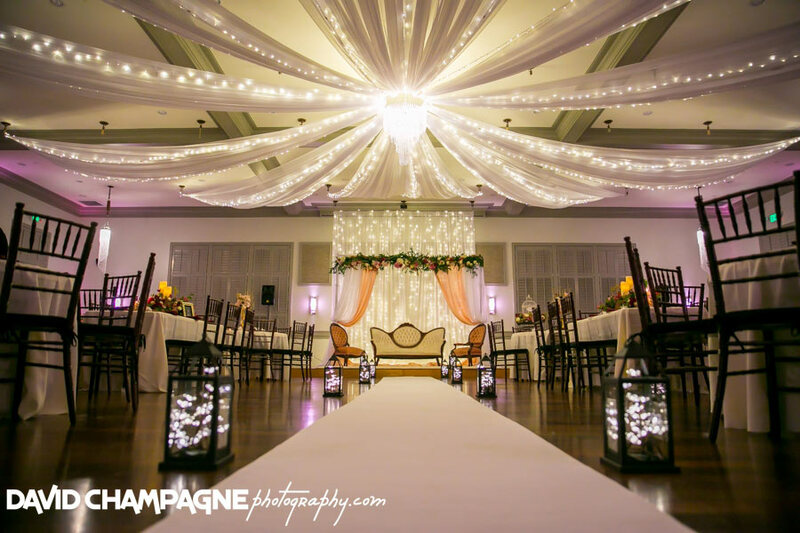 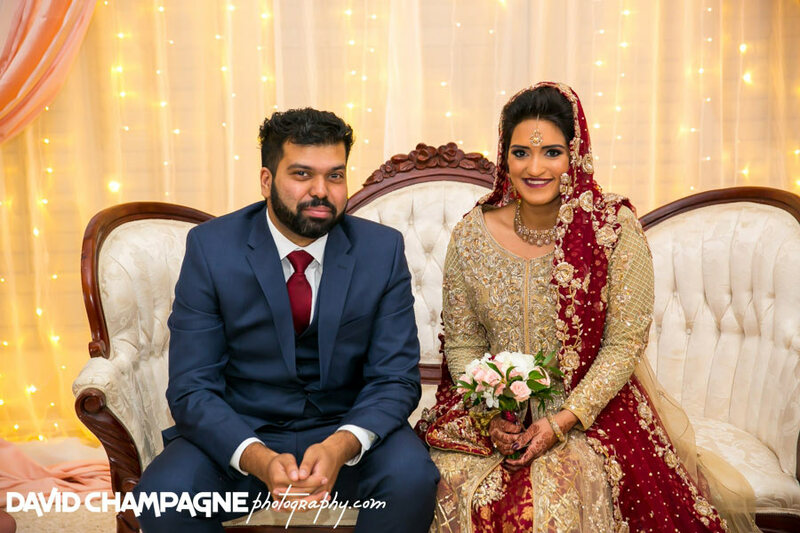 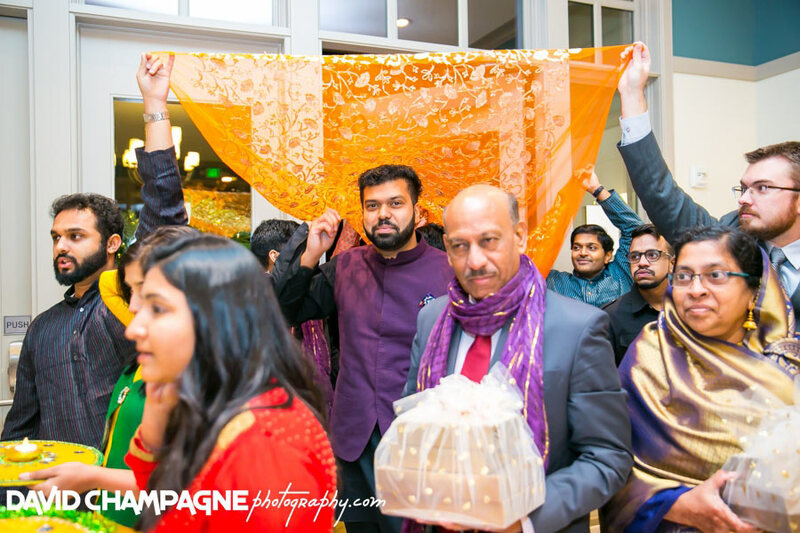 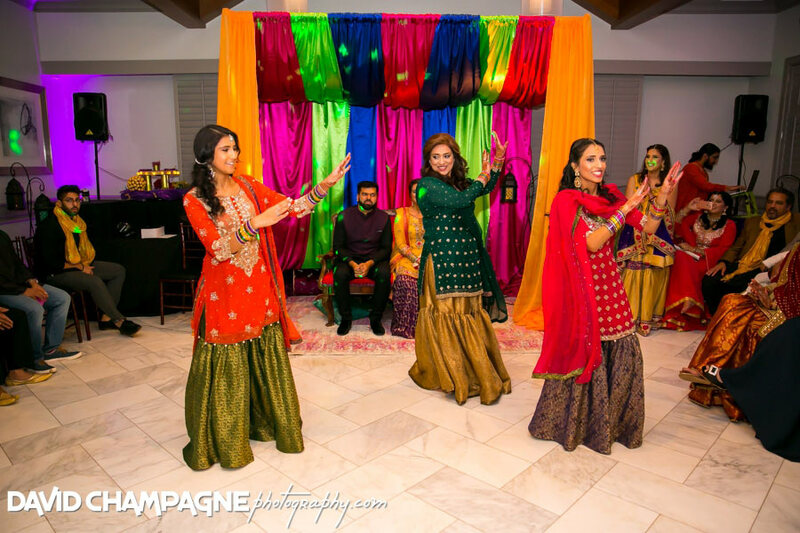 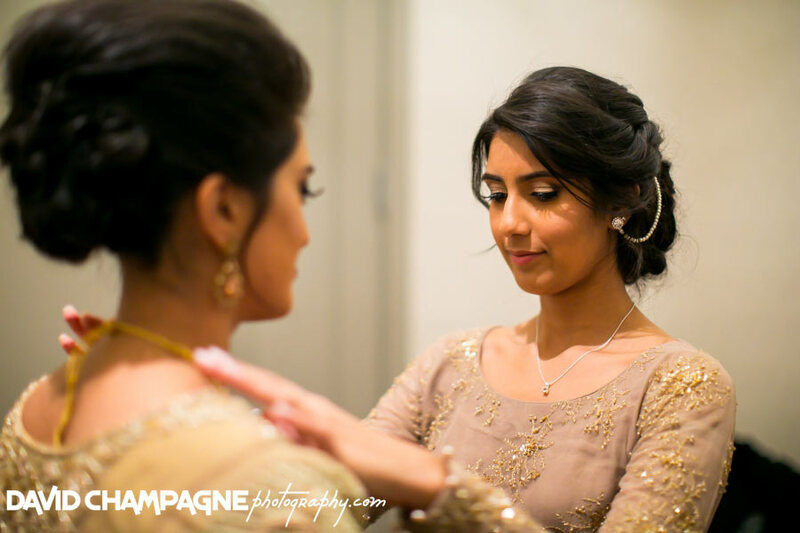 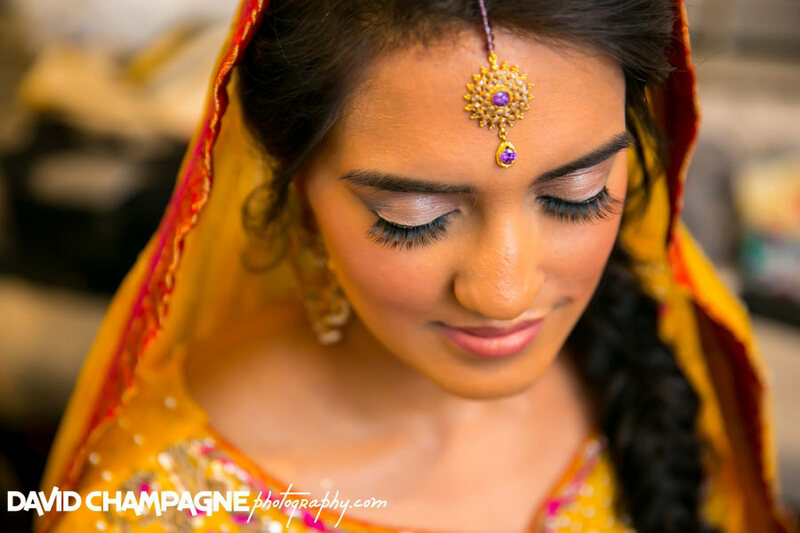 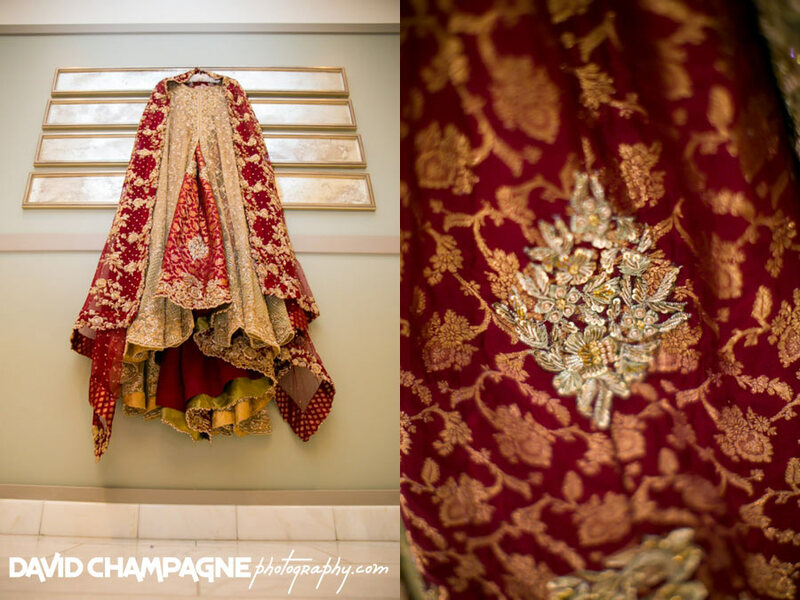 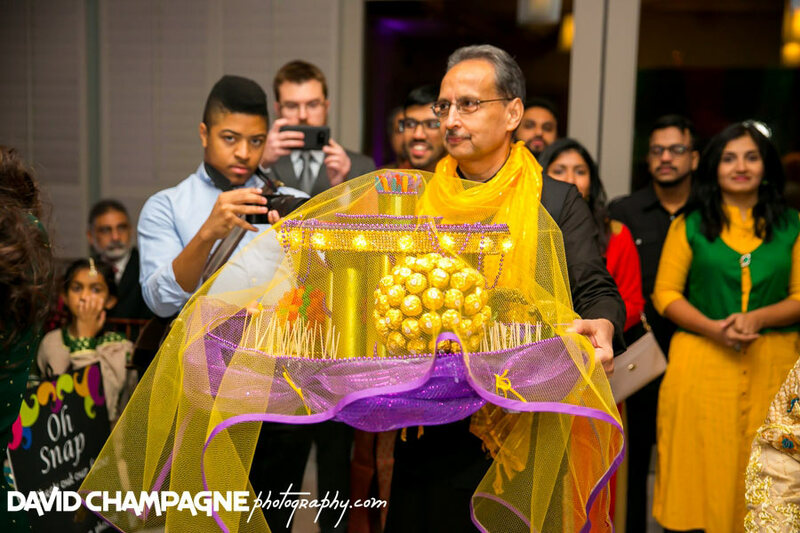 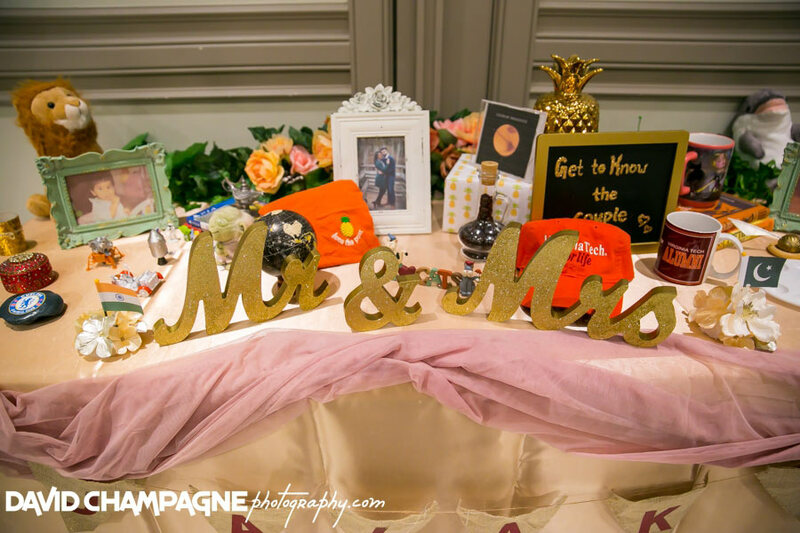 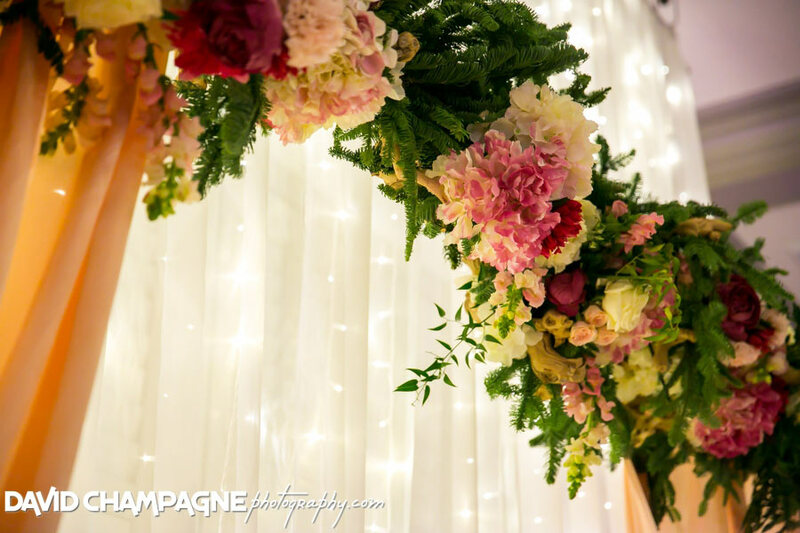 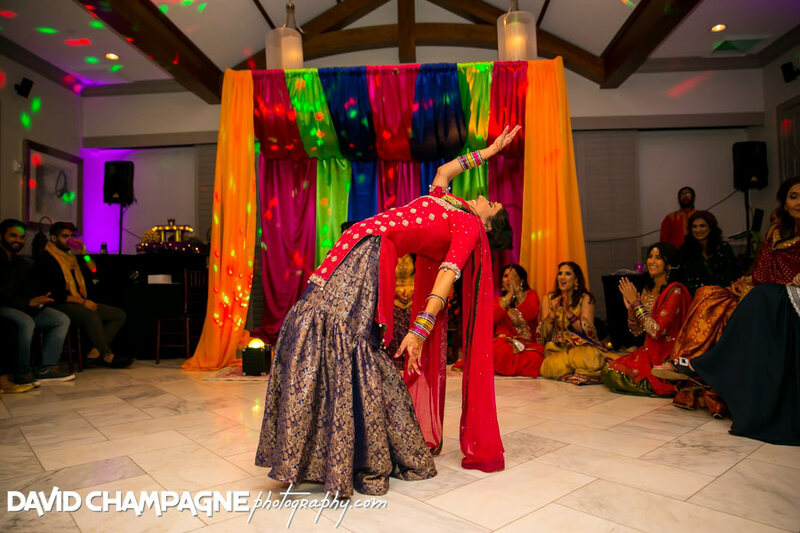 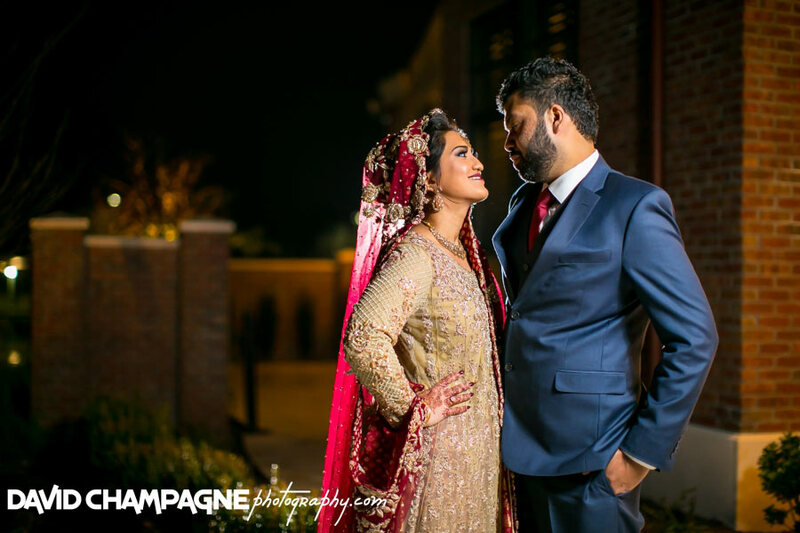 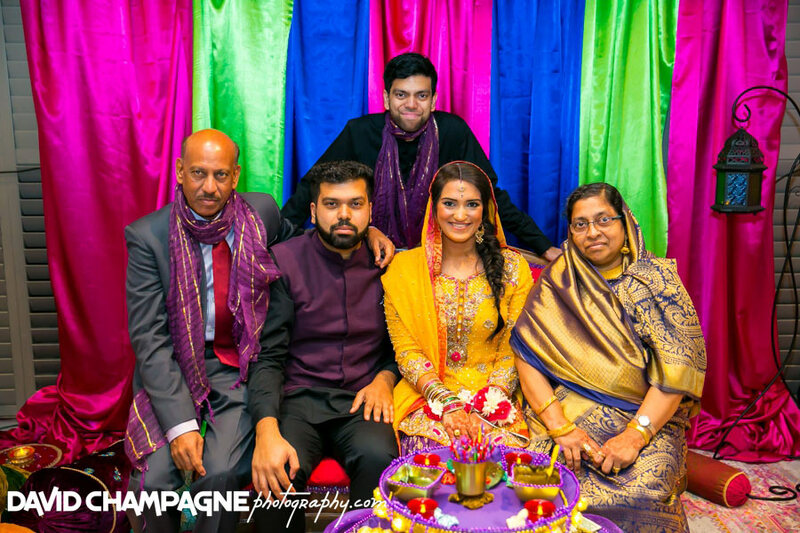 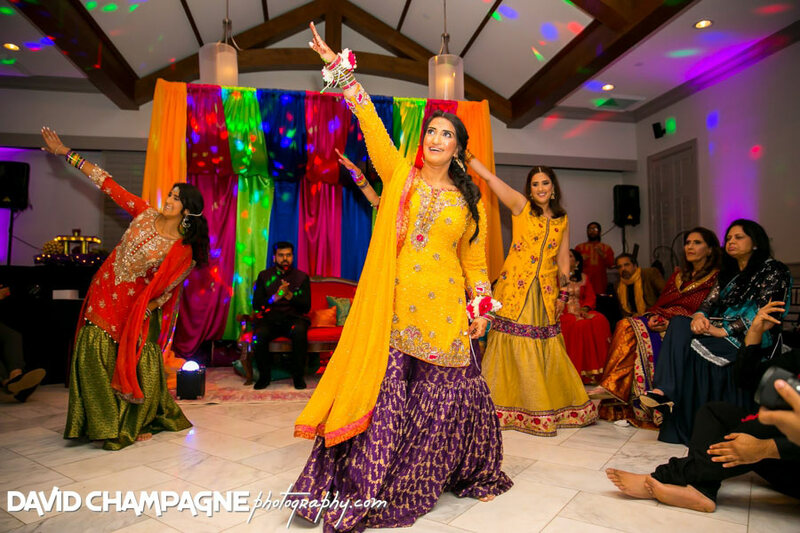 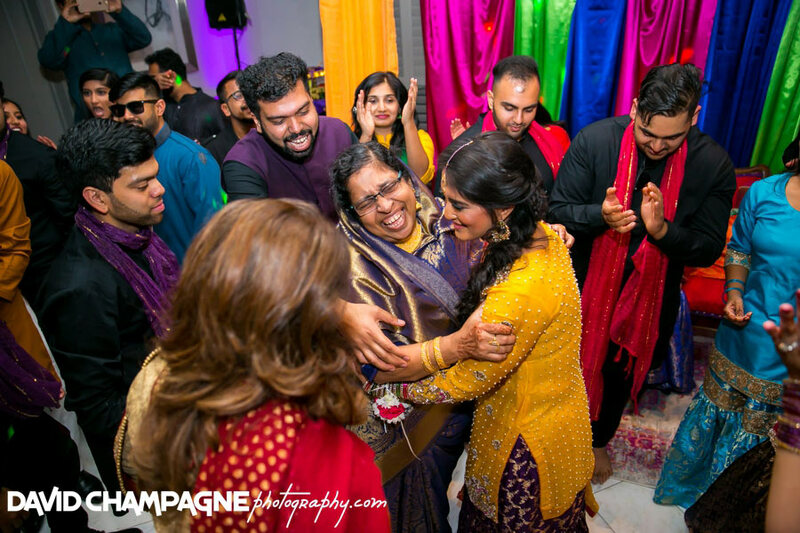 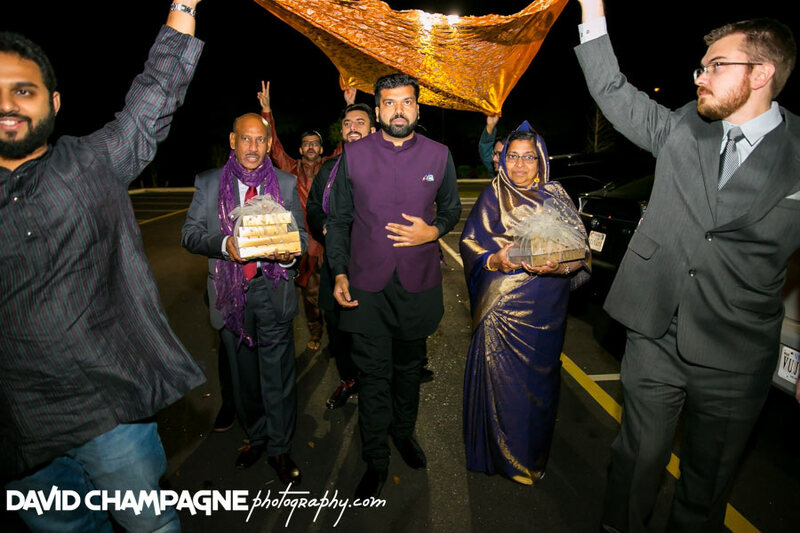 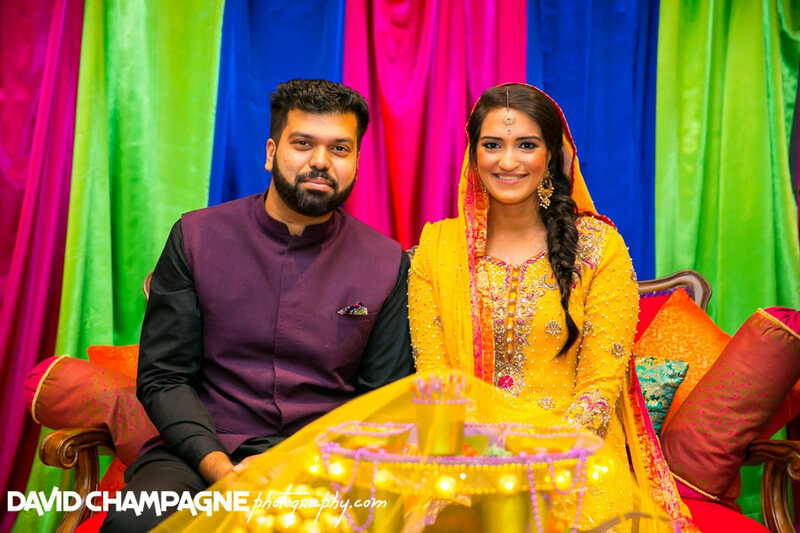 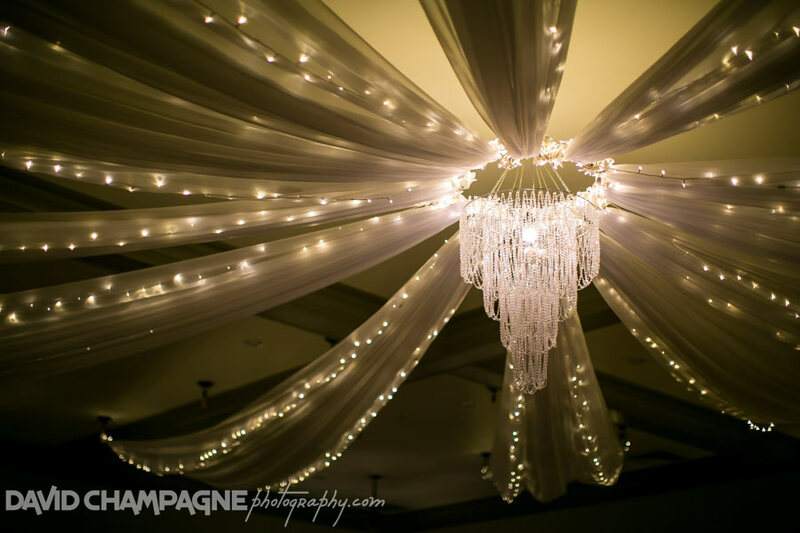 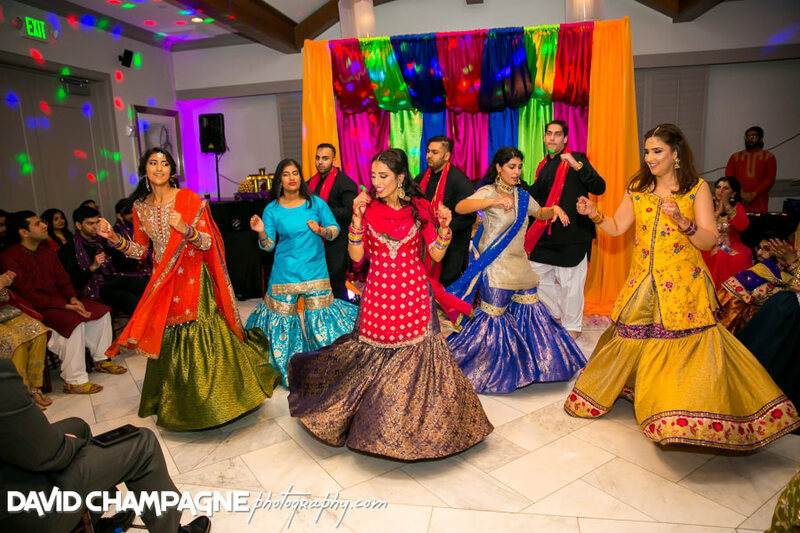 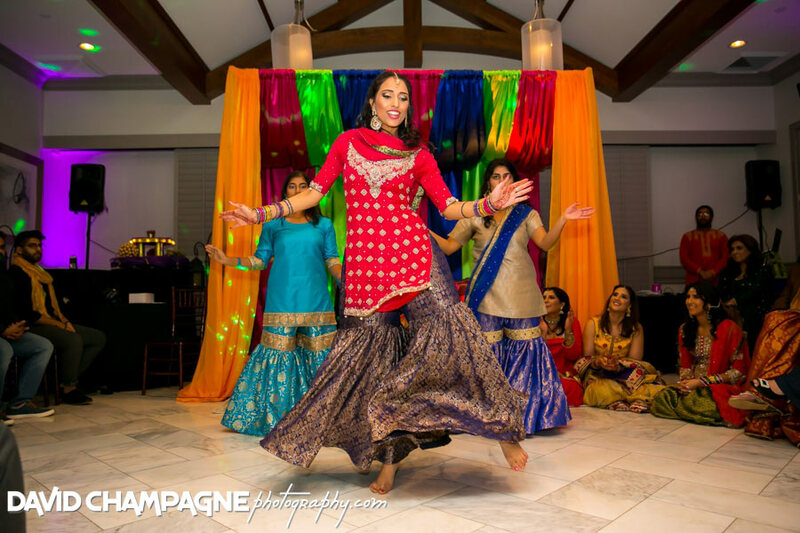 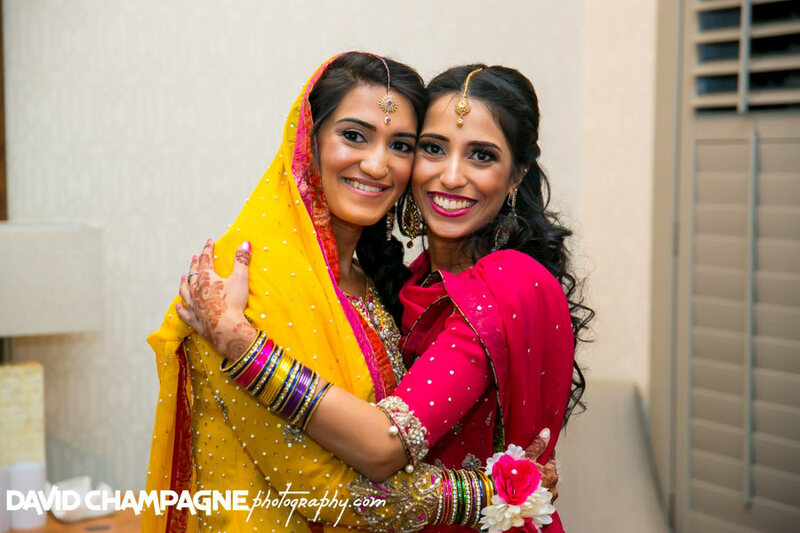 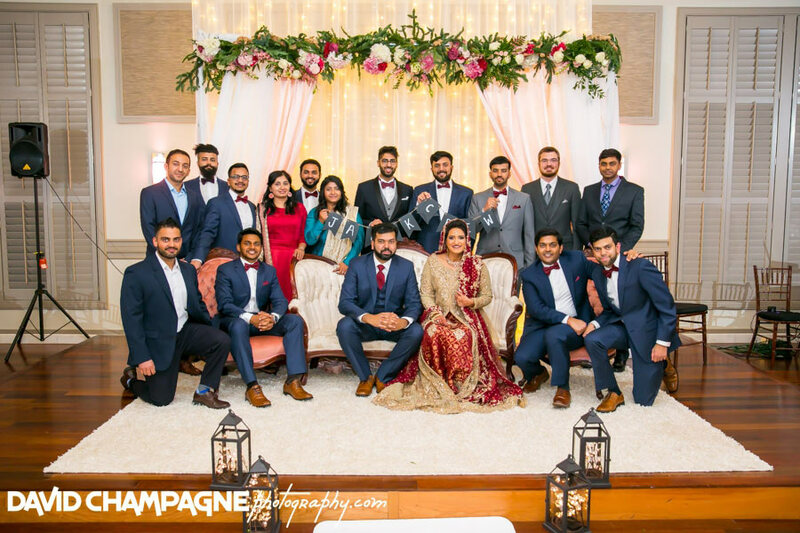 Falak and Javed had their wedding ceremony at Noah’s Event Venue in Chesapeake, Virginia. 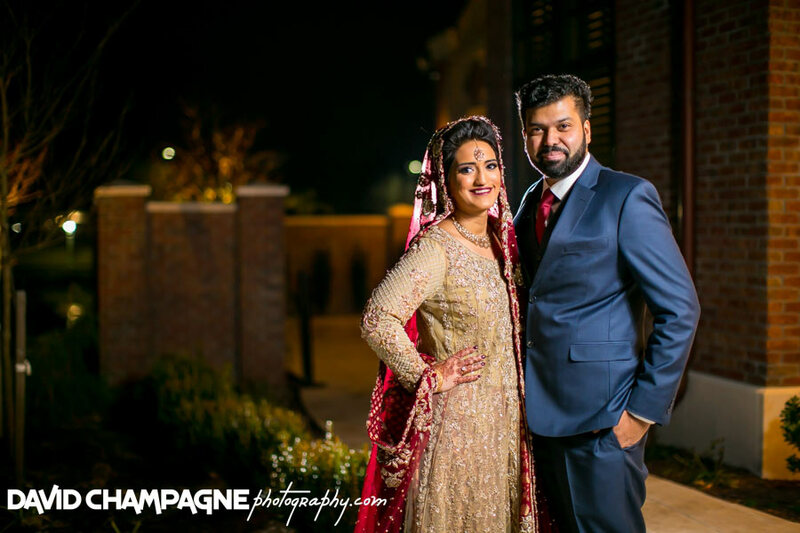 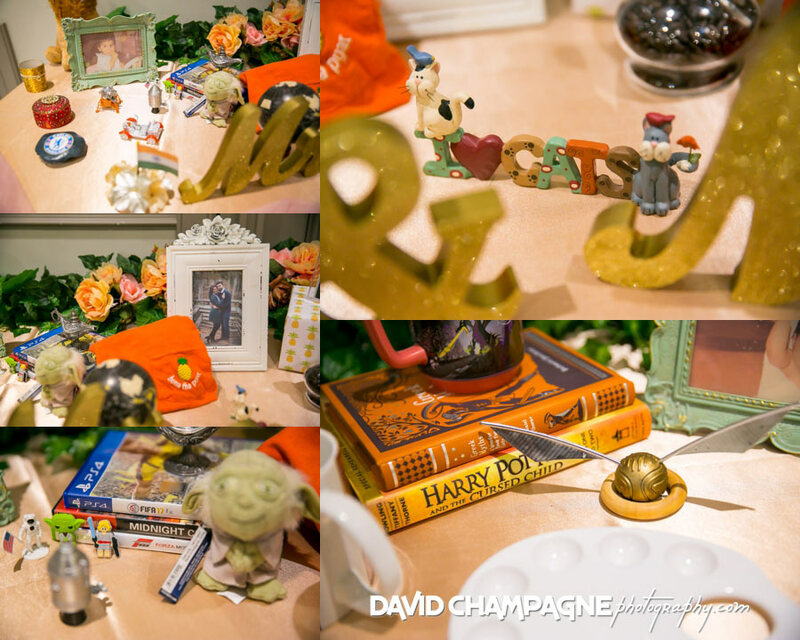 Check out the following links to view their Slideshow, Online Gallery, and Facebook Post in a new window and feel free to leave comments! 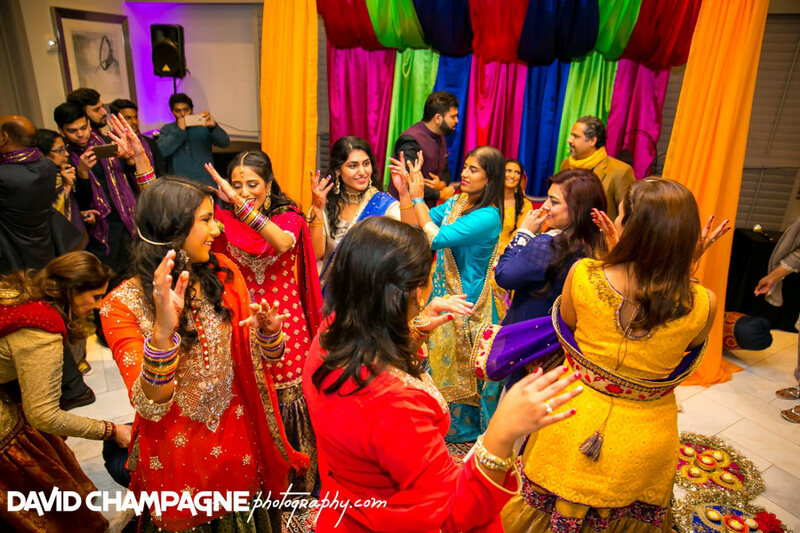 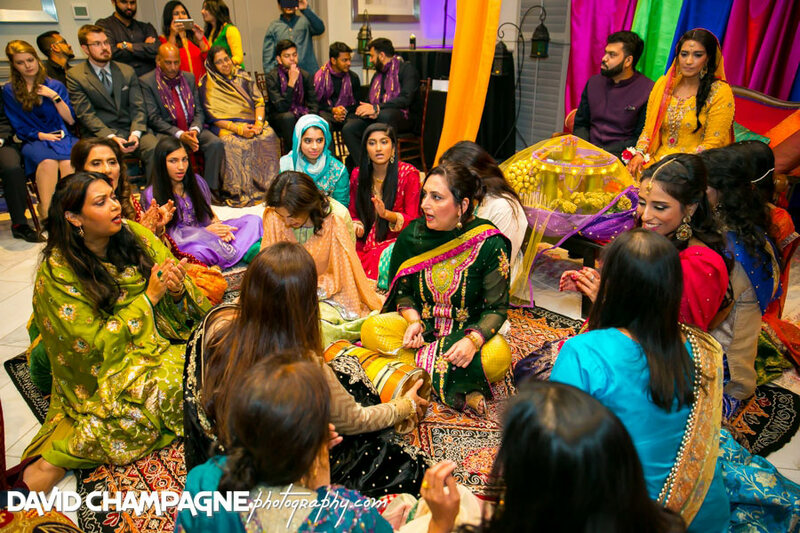 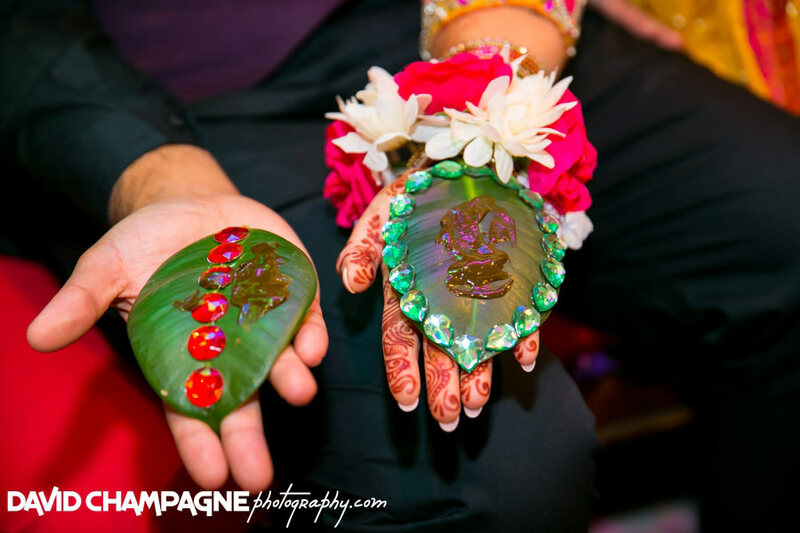 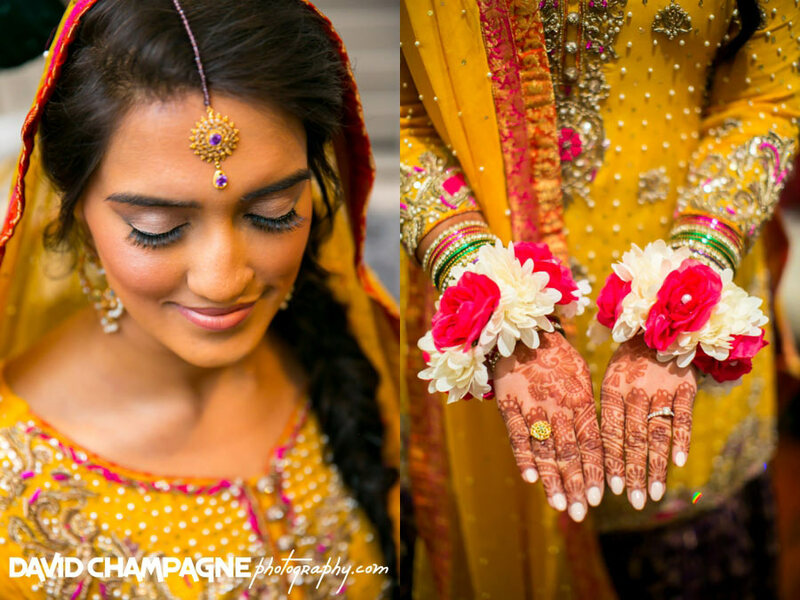 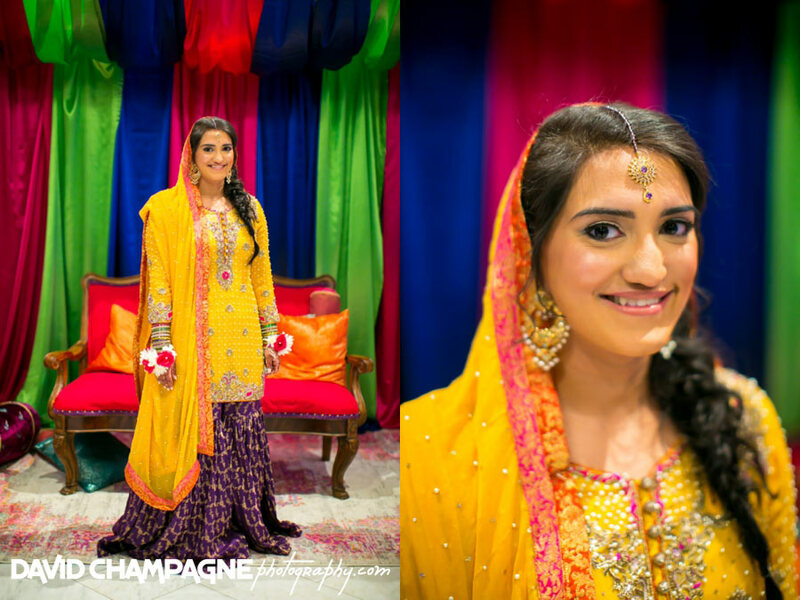 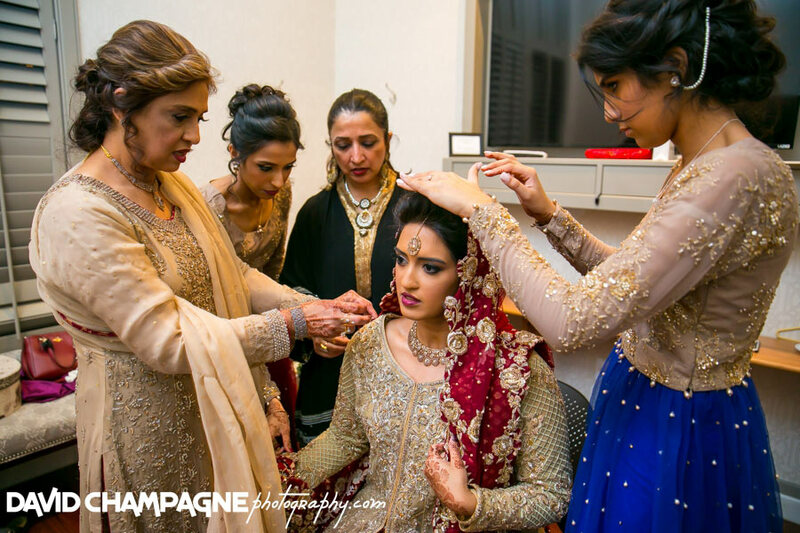 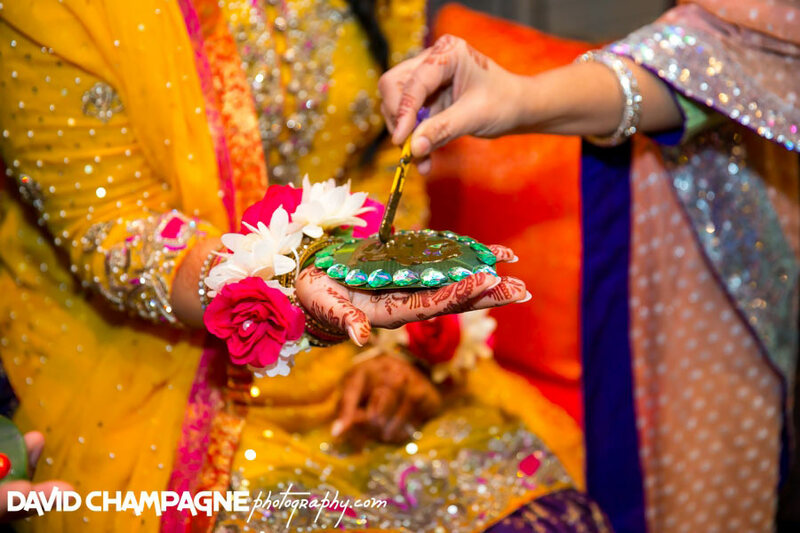 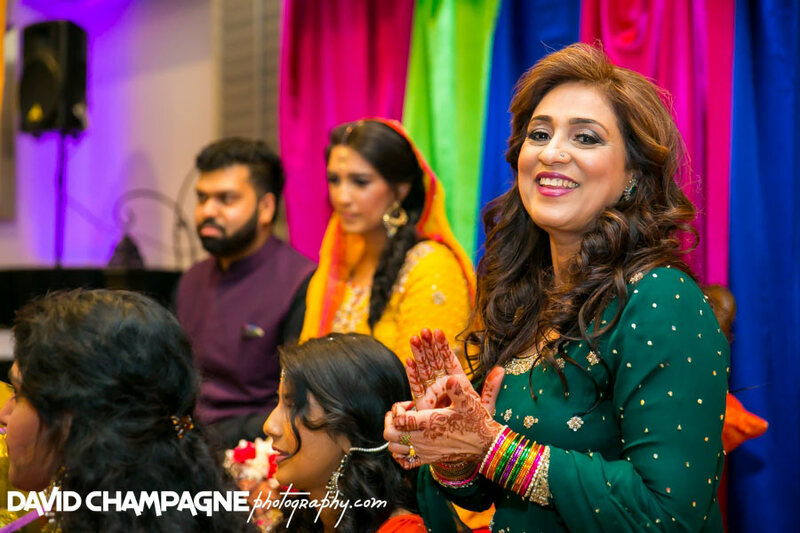 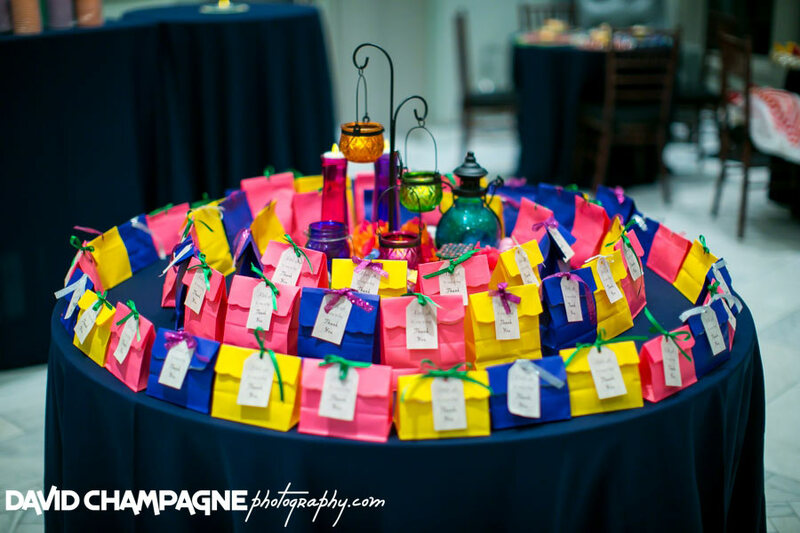 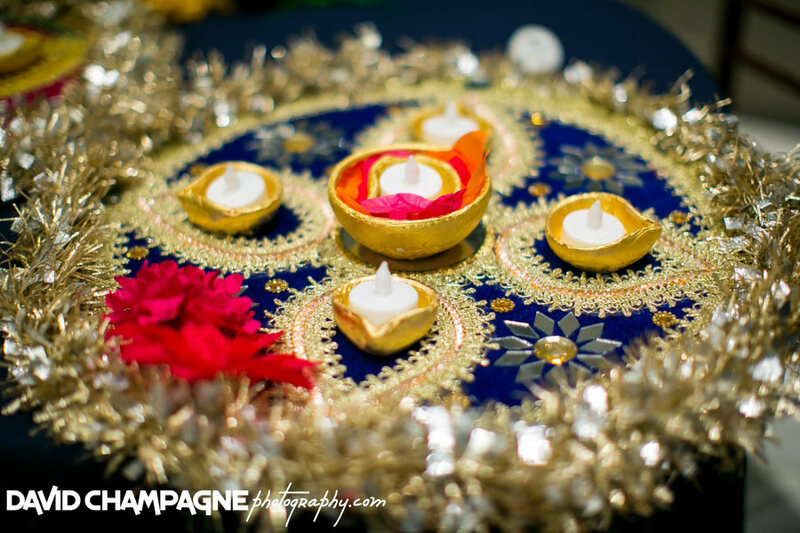 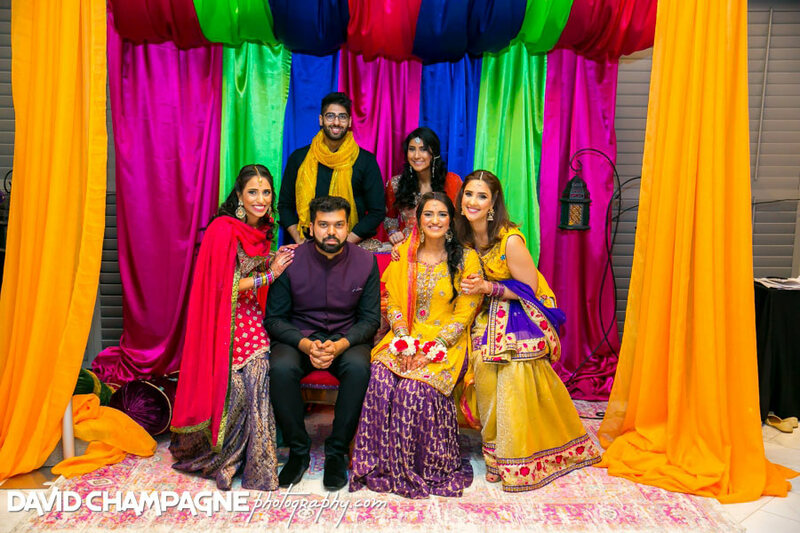 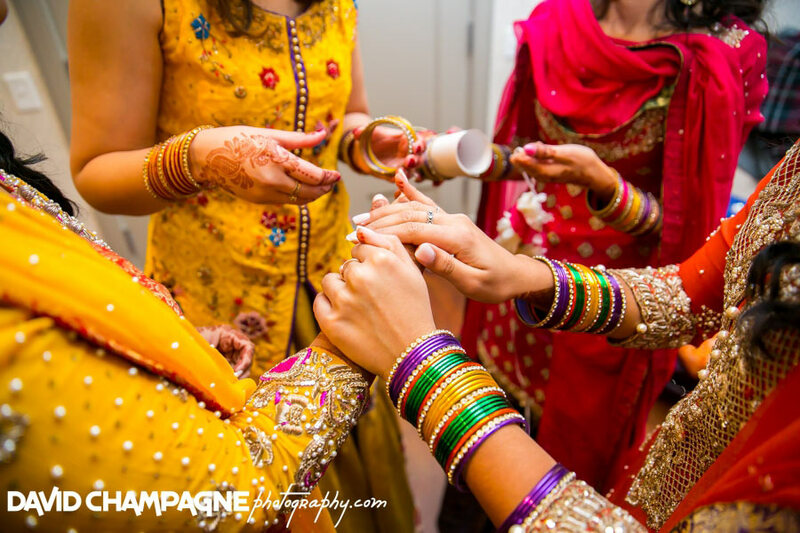 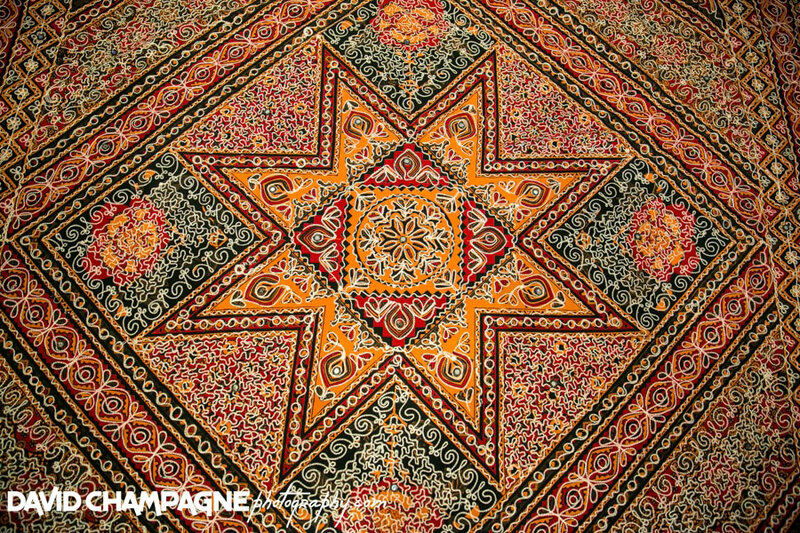 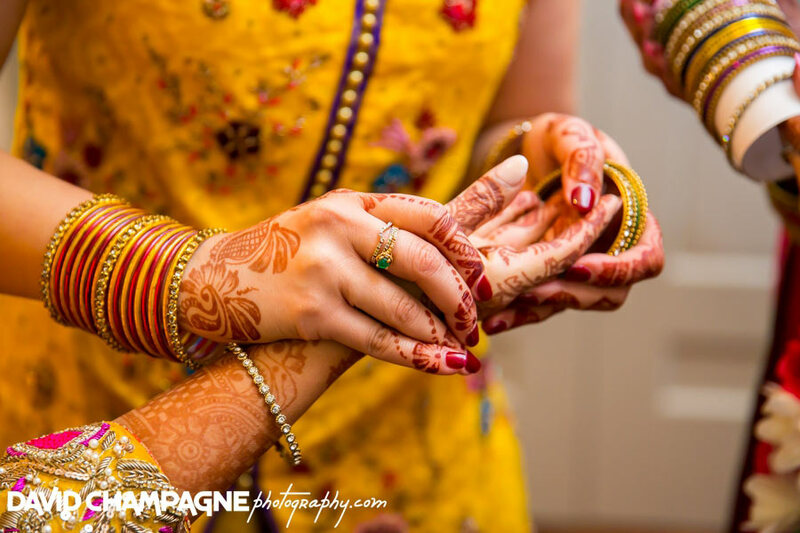 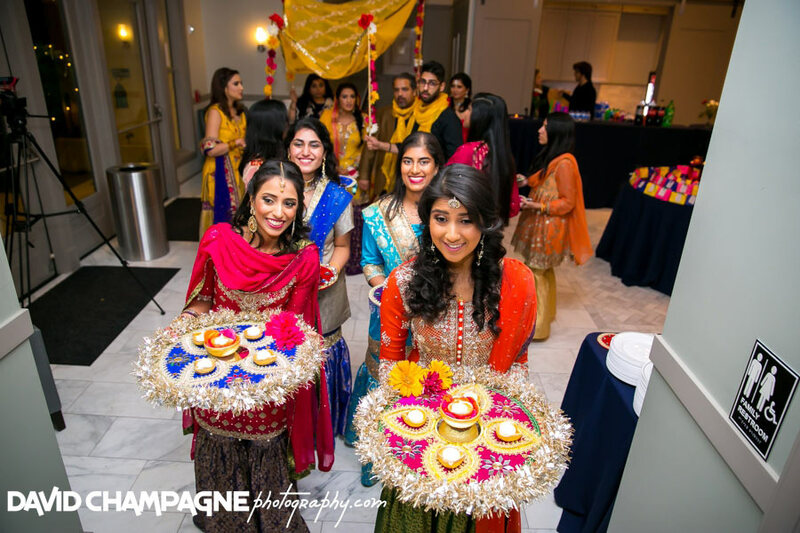 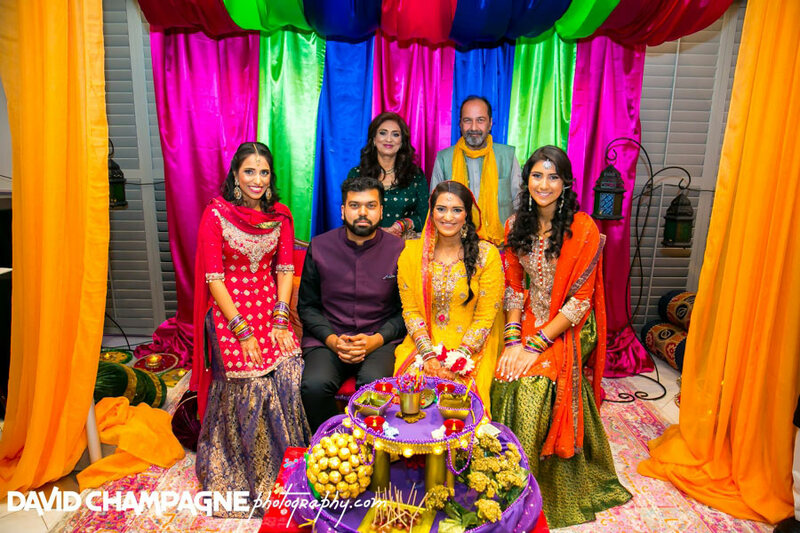 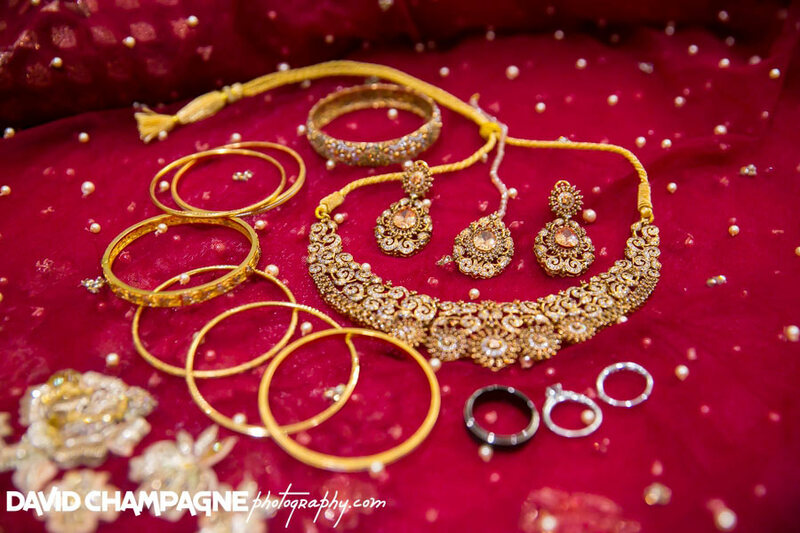 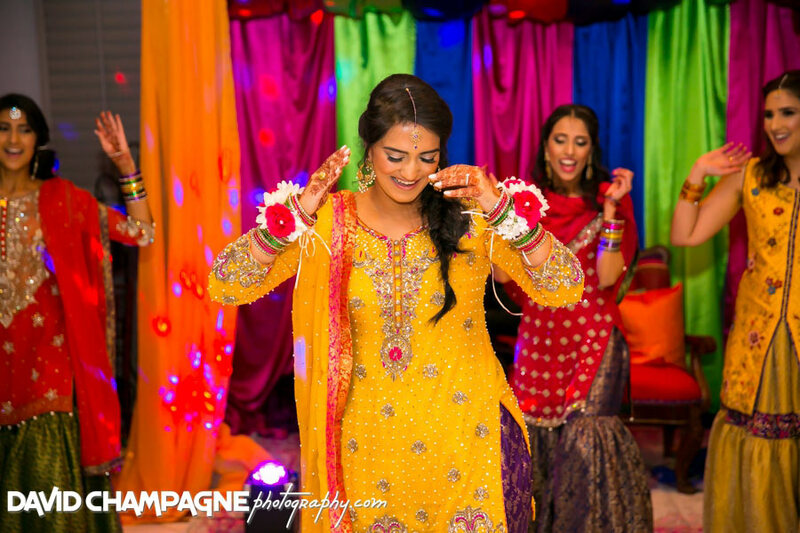 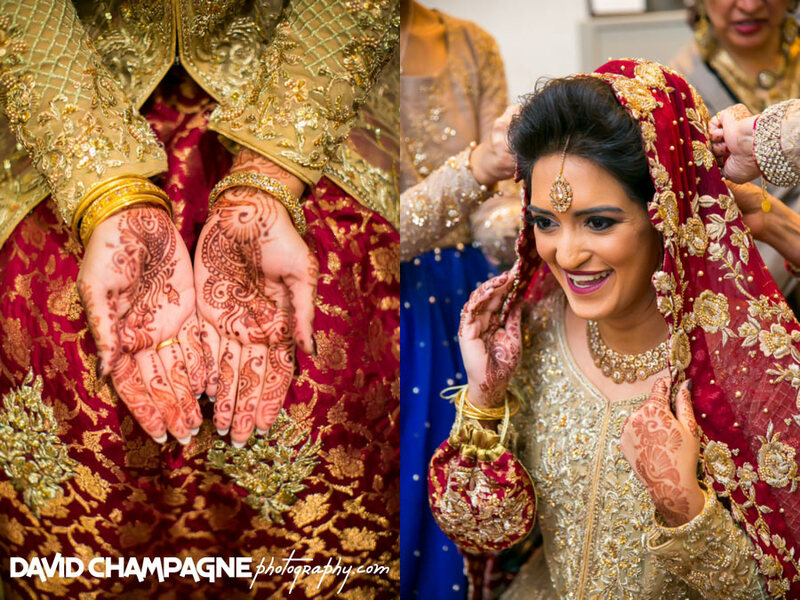 The bride and groom had their Mehndi ceremony on the first night of celebrations. 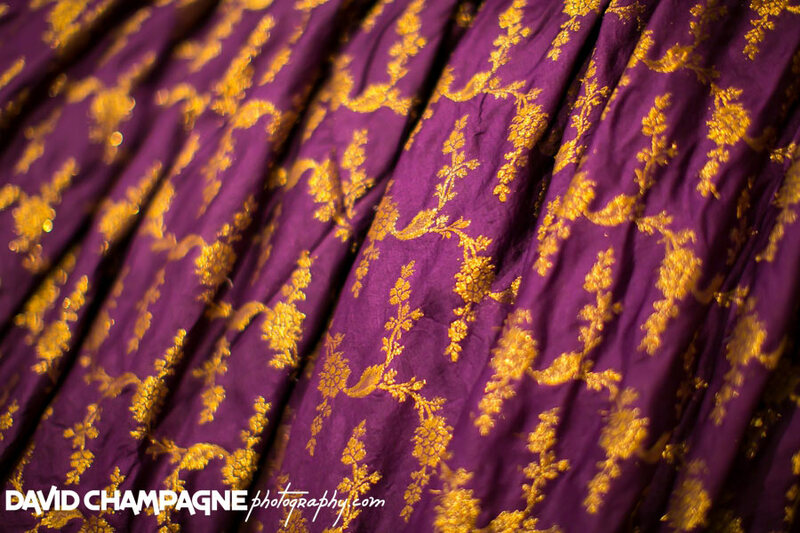 The bride wore a beautiful dress of deep yellow and purple. 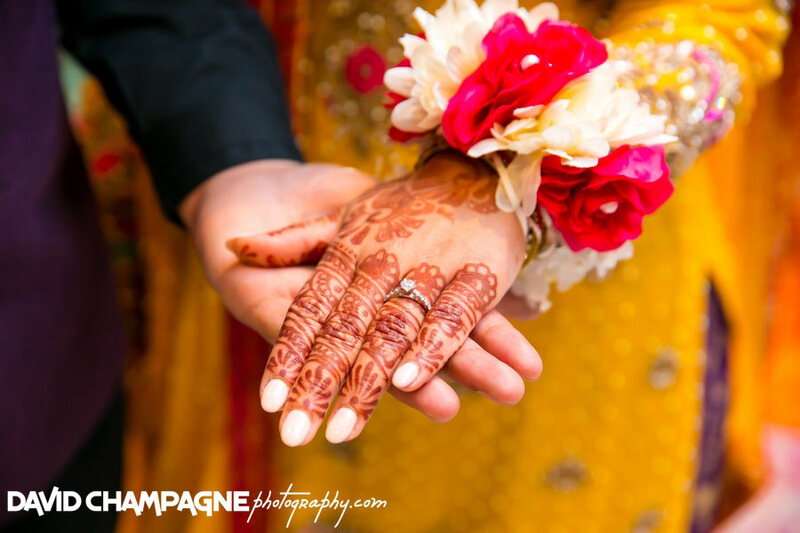 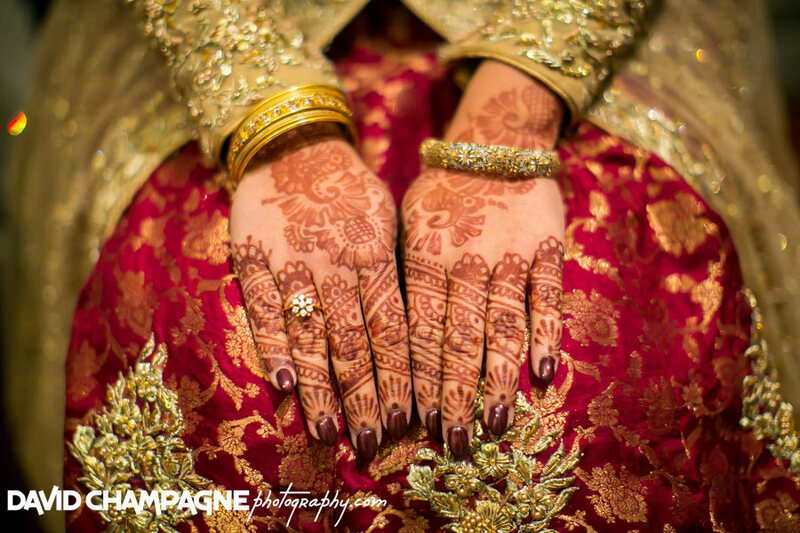 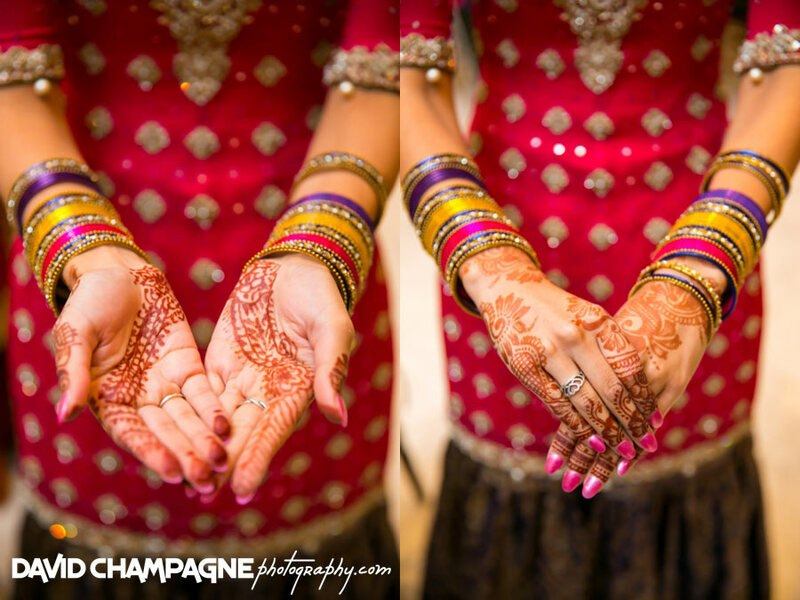 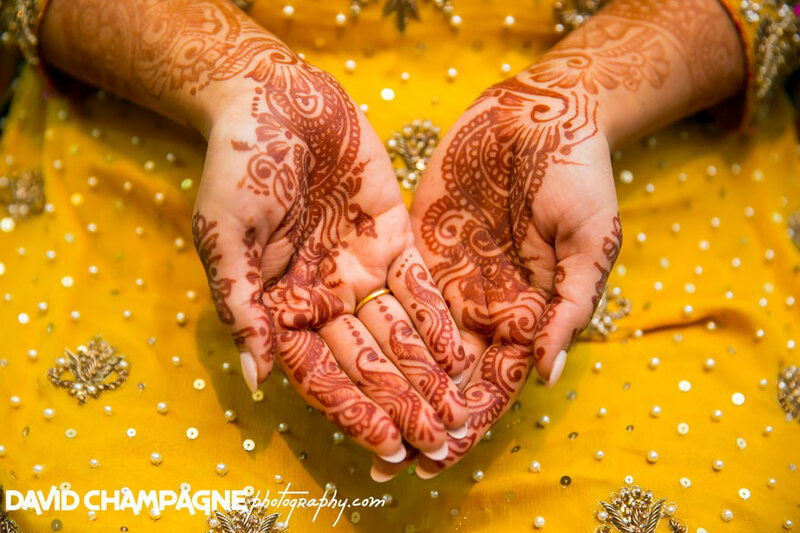 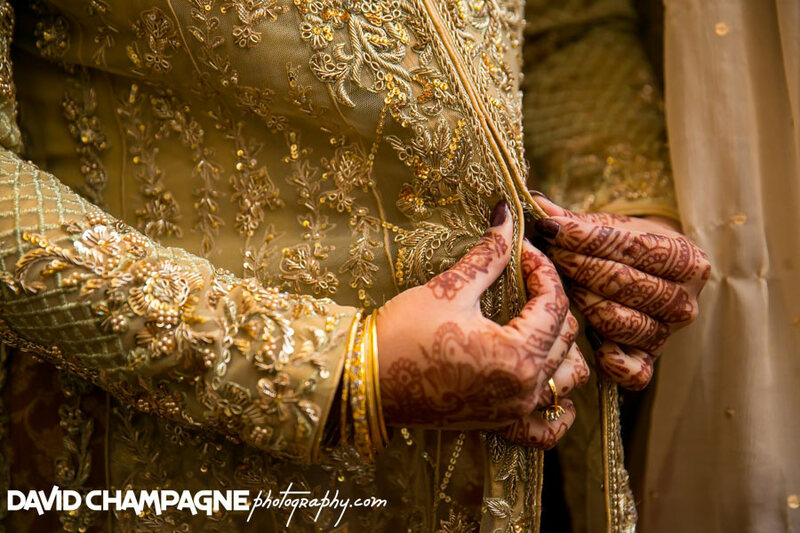 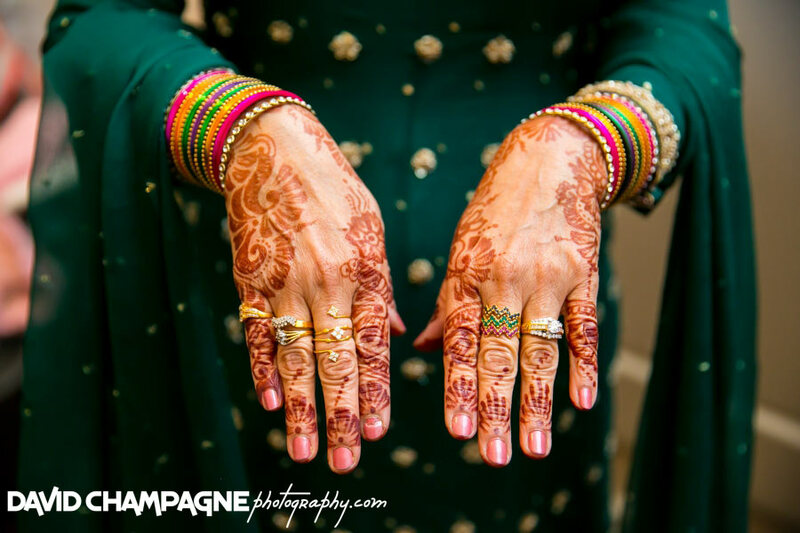 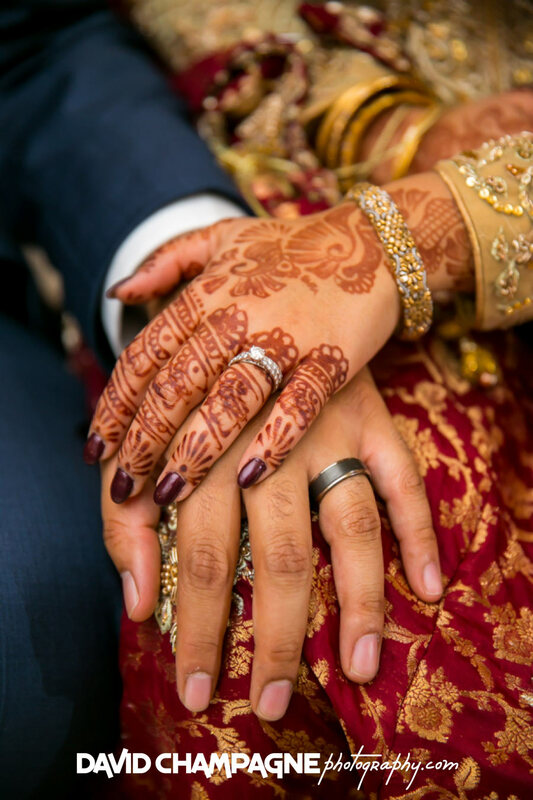 All of the women’s hands were decorated with intricate henna designs. 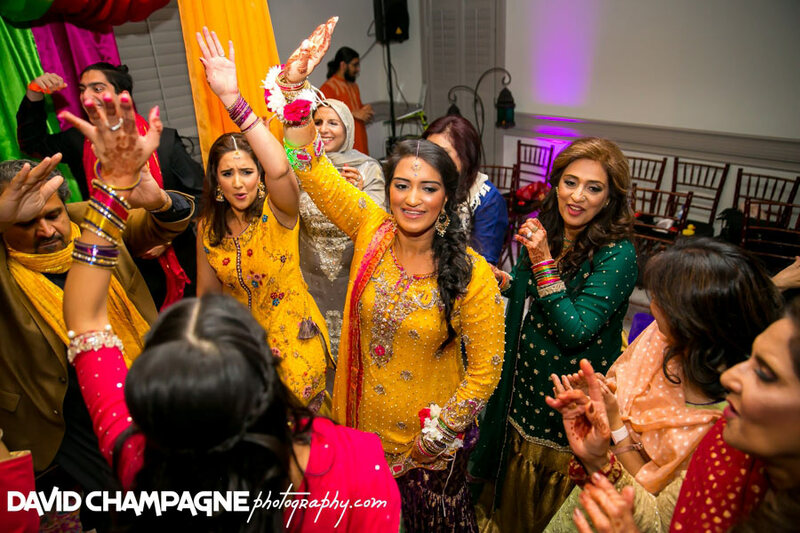 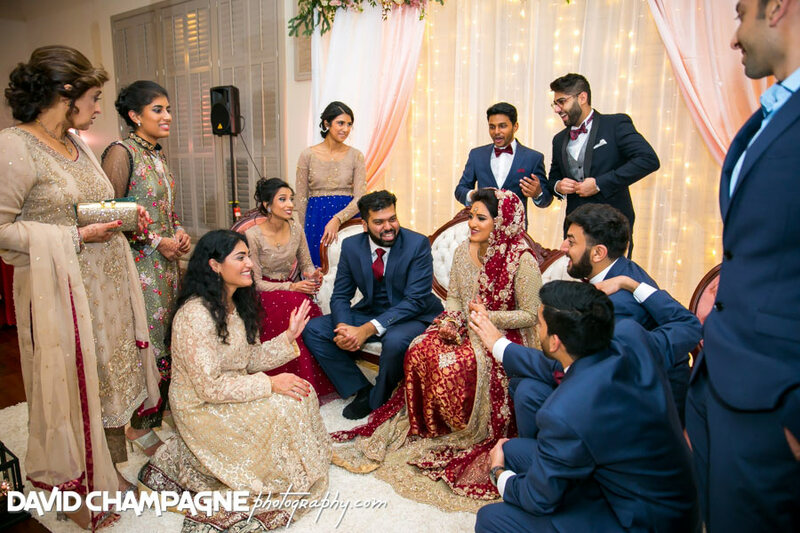 After the groom’s Baraat, the bride entered and the women sat in a circle and sang songs with the Dholki (a two-headed hand drum). 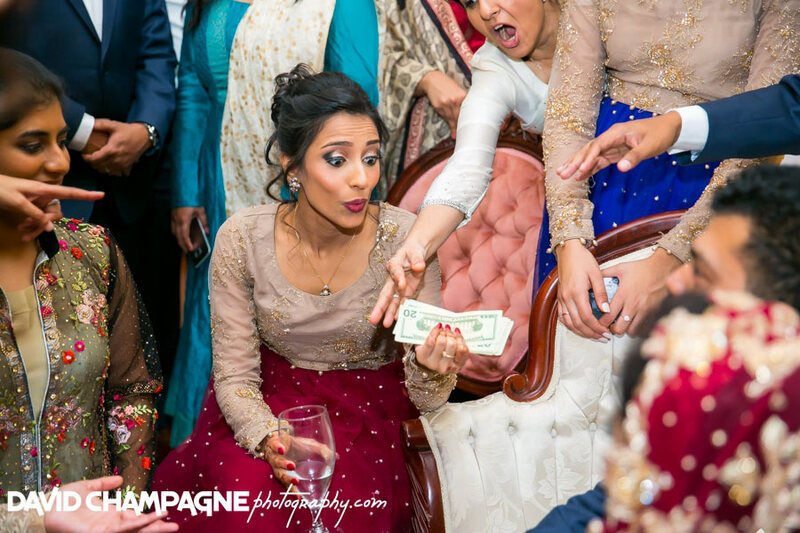 Also, the family fed the bride and groom sweets. 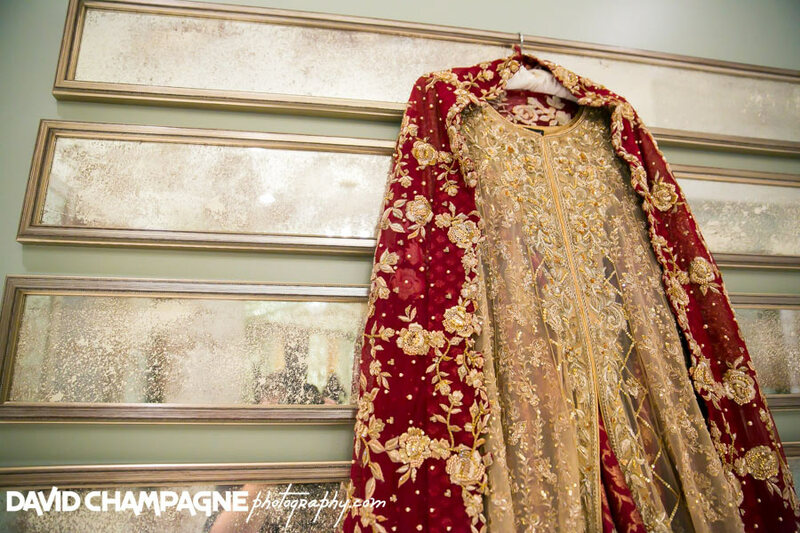 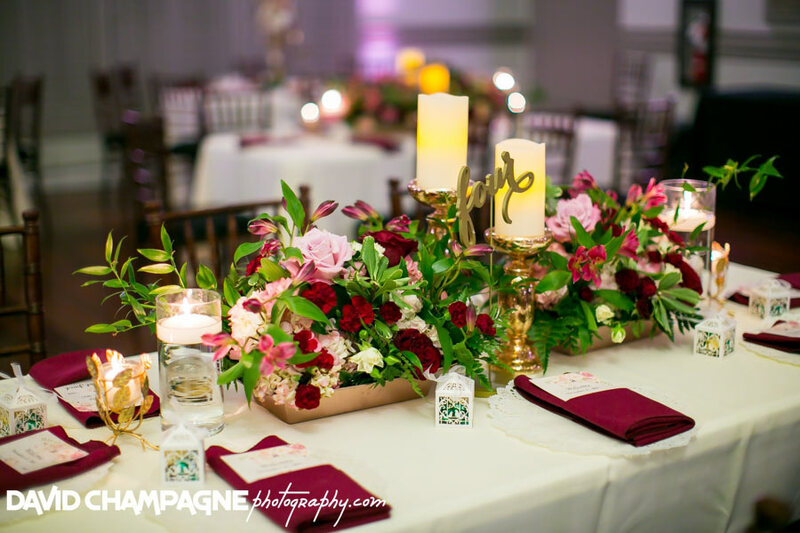 On the second night of celebrations, the bride wore a magnificent dress of crimson and gold. 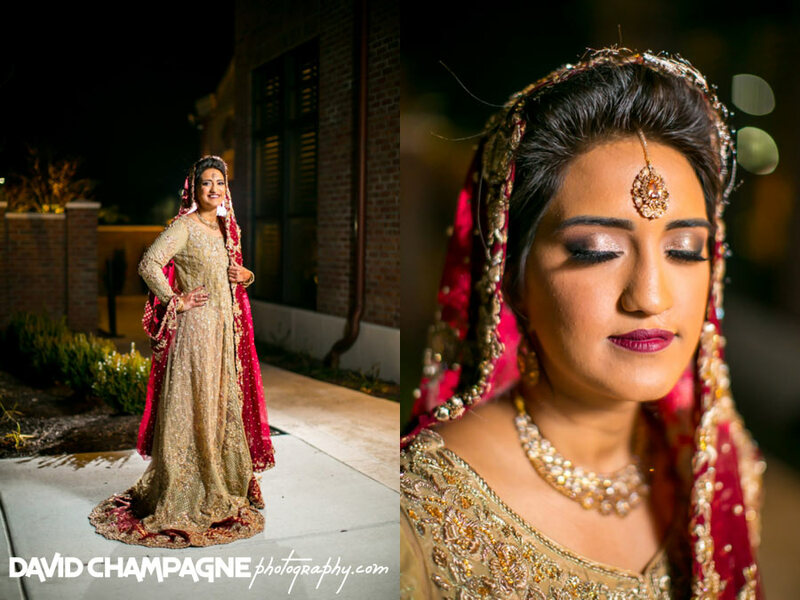 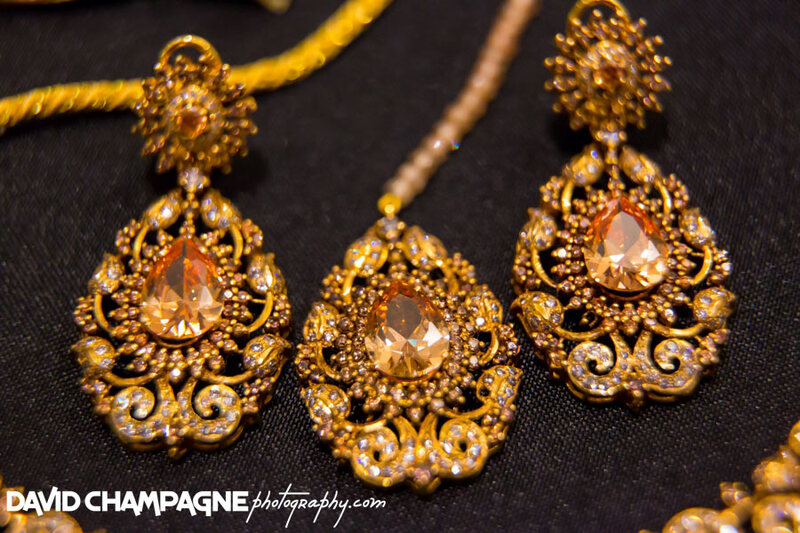 The bride wore jewelry hand crafted in Pakistan. 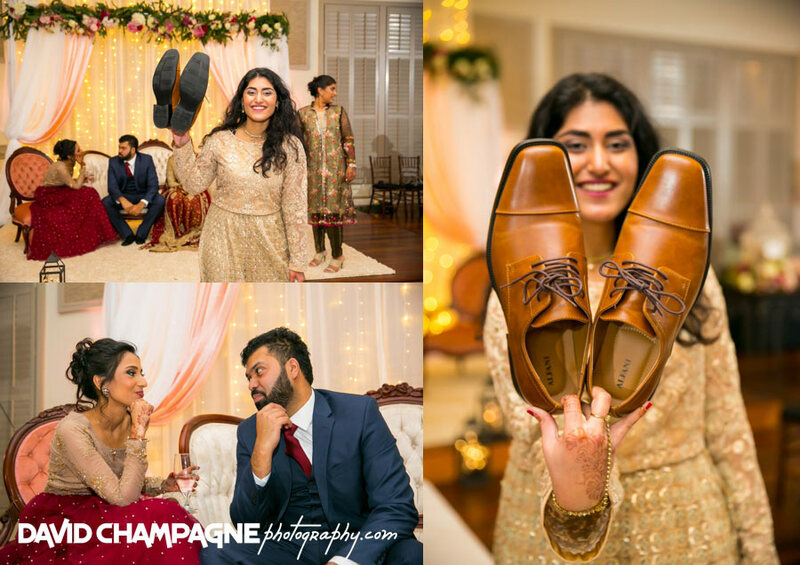 Later in the evening, the ladies stole the groom’s shoes and he had to negotiate with the bride’s sister to get them back. 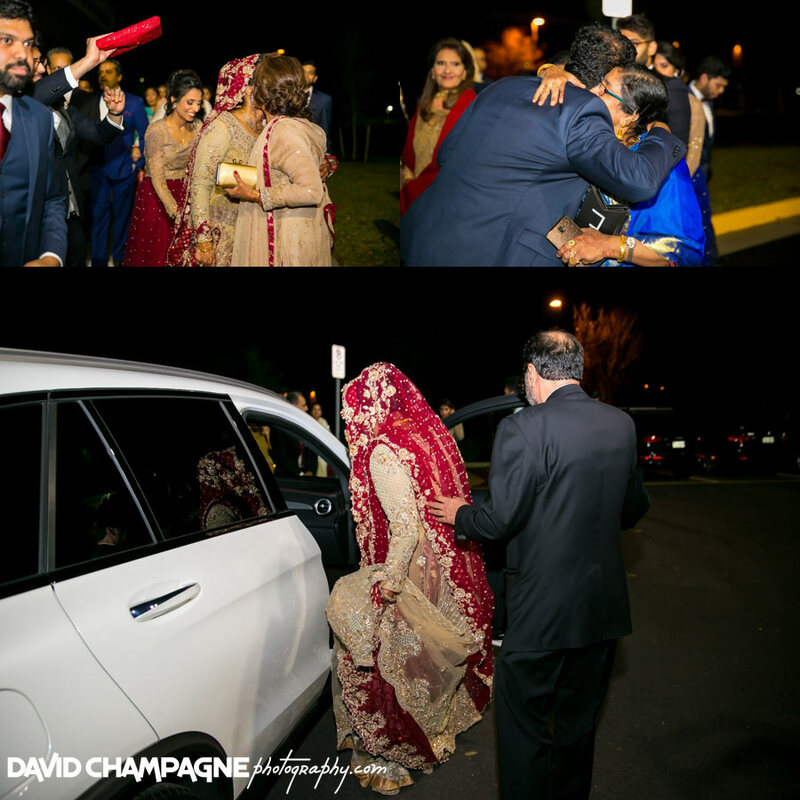 Also, at the end of the evening, the bride and groom left the celebration during the rukhsati. 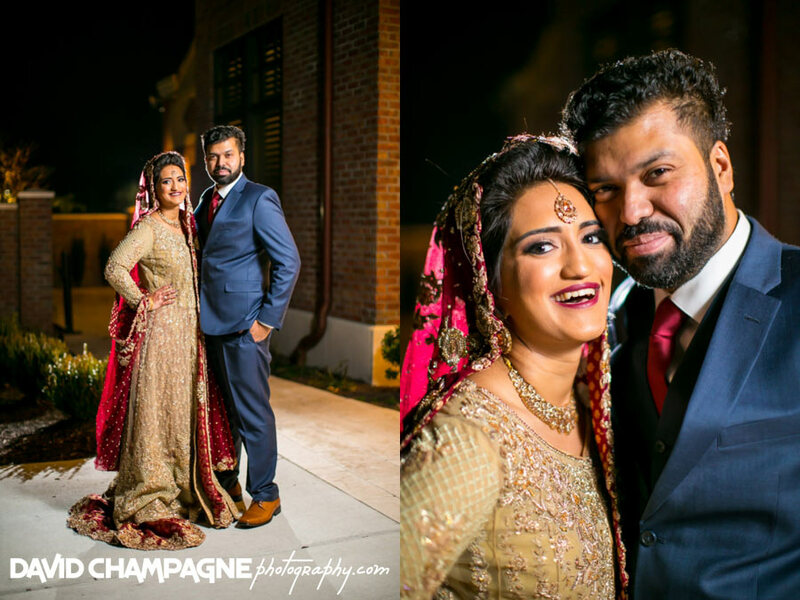 Check out the Falak and Javed’s slideshow!